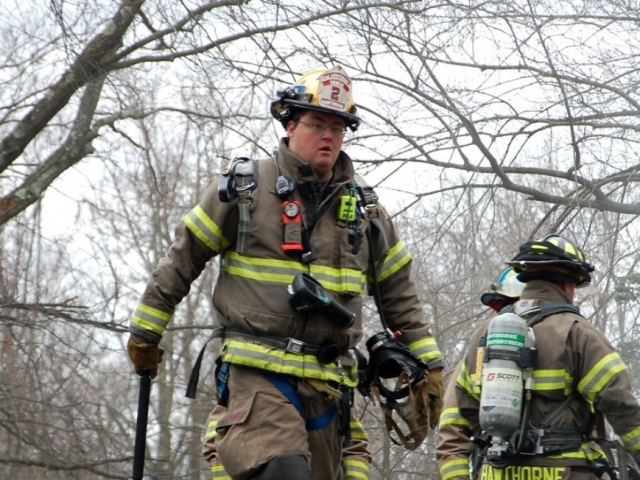 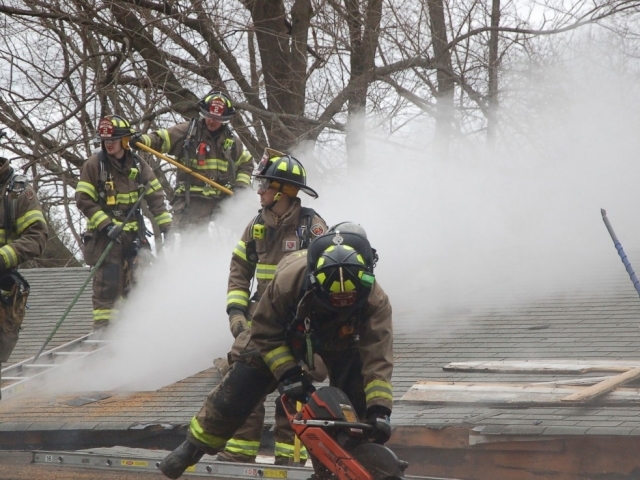 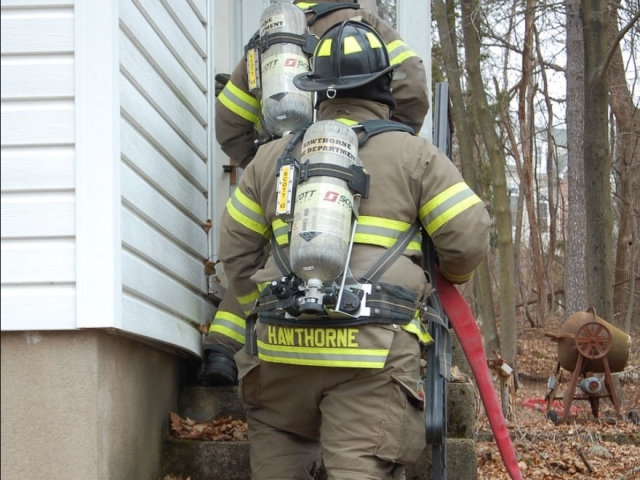 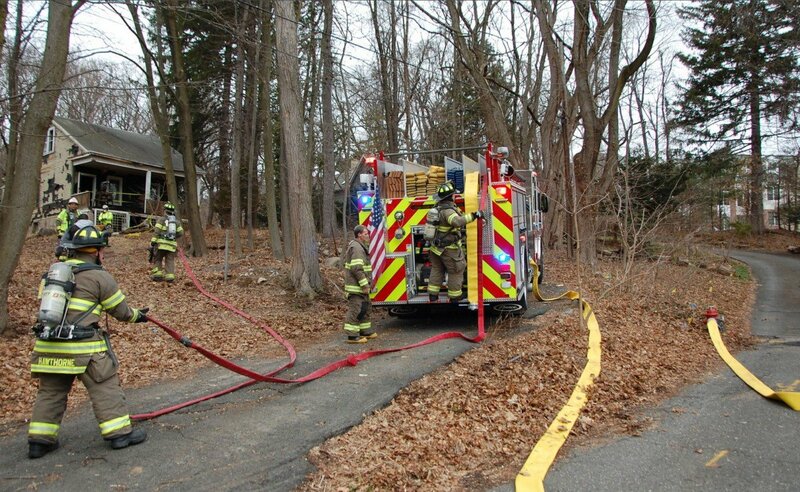 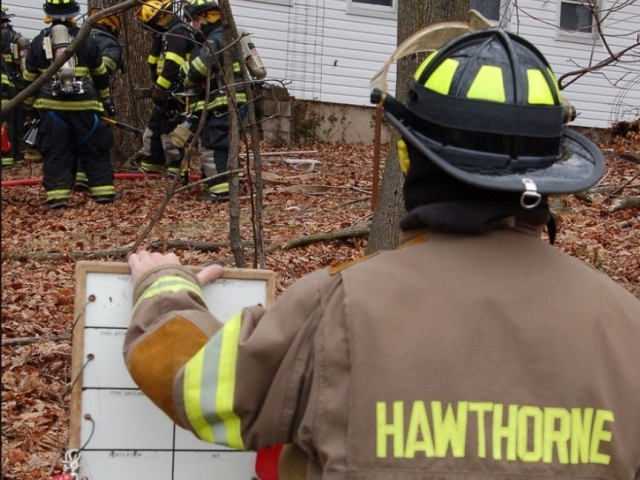 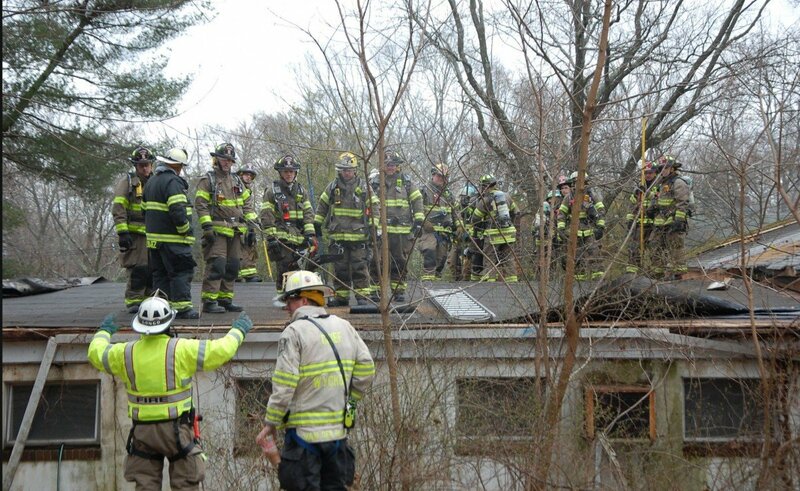 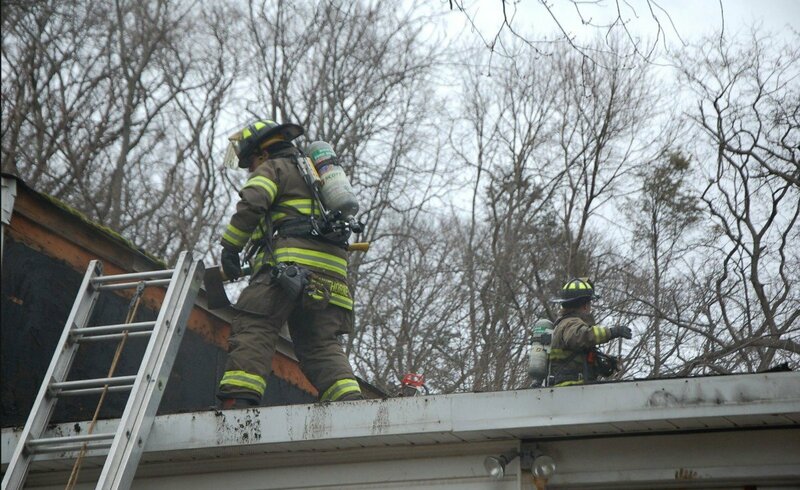 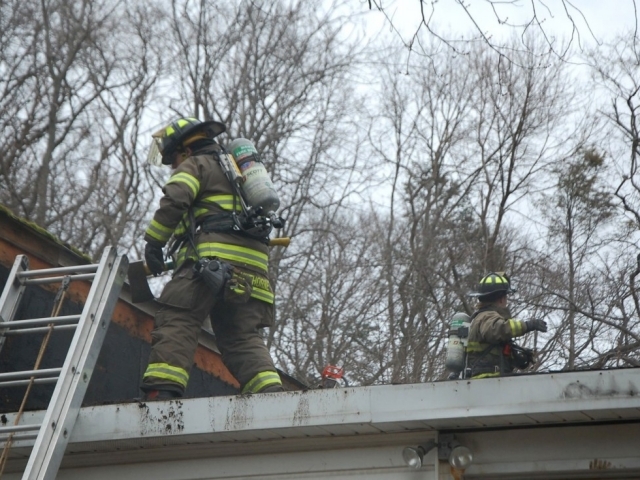 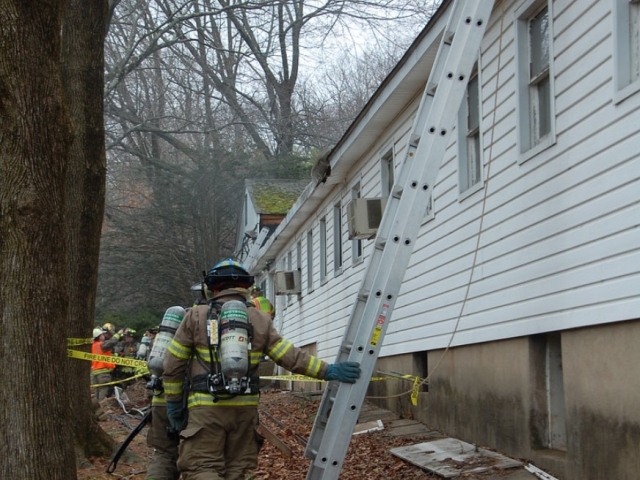 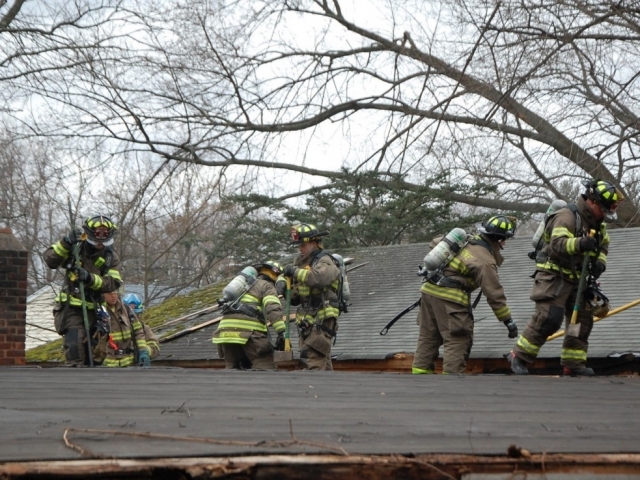 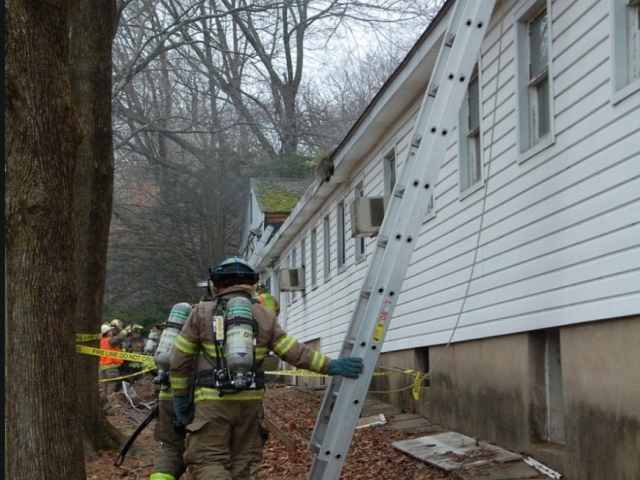 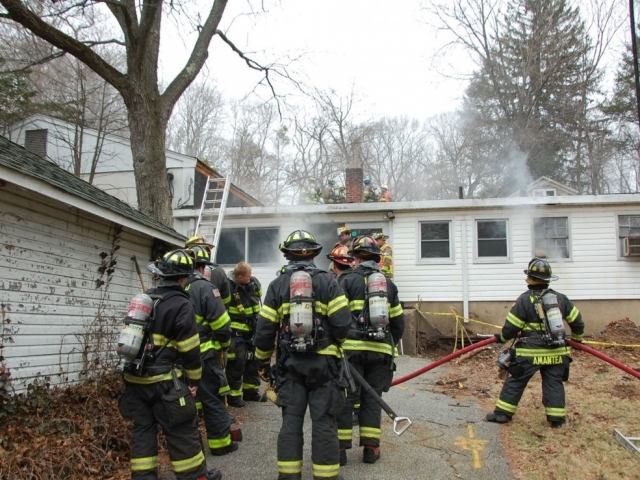 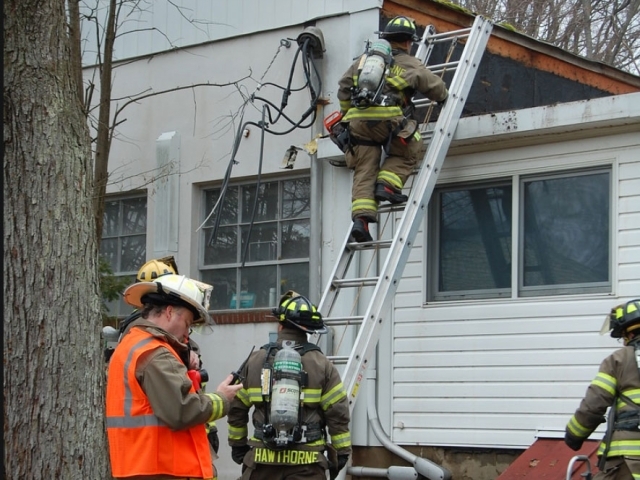 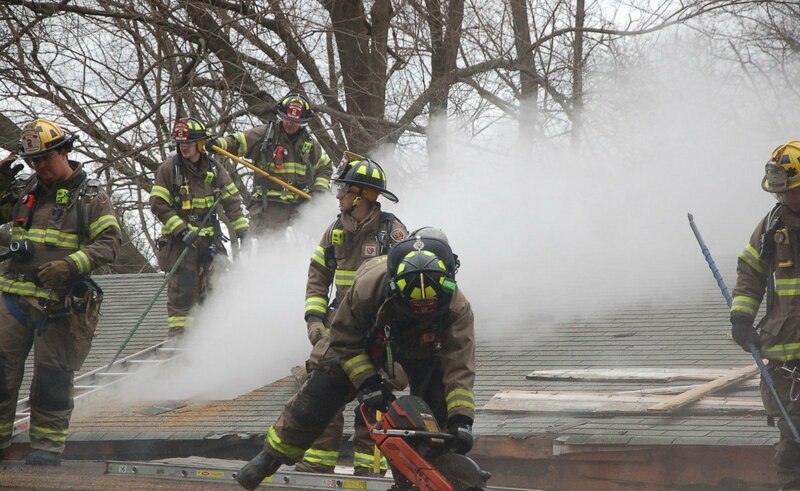 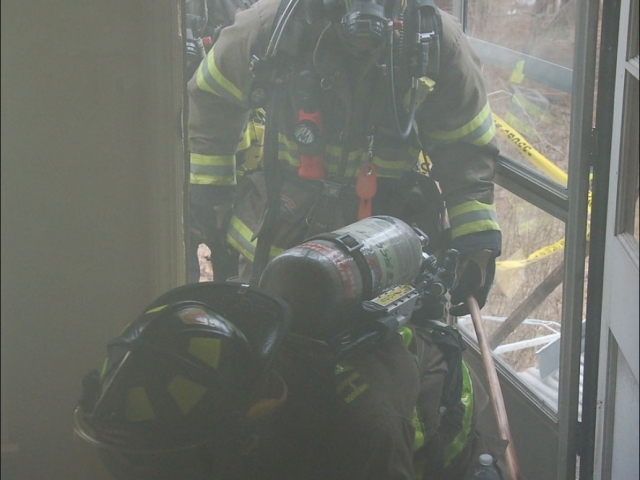 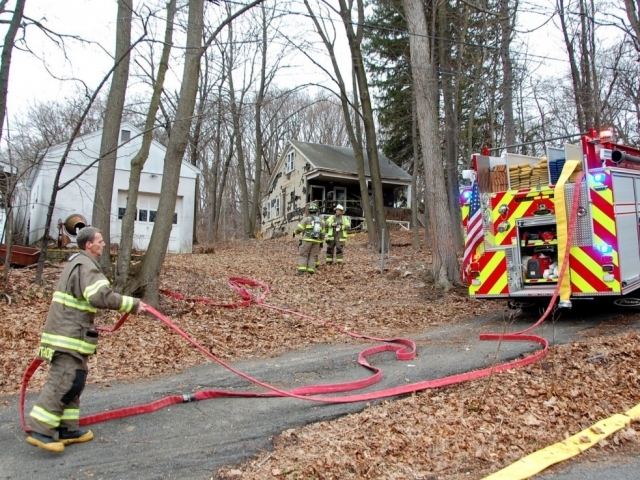 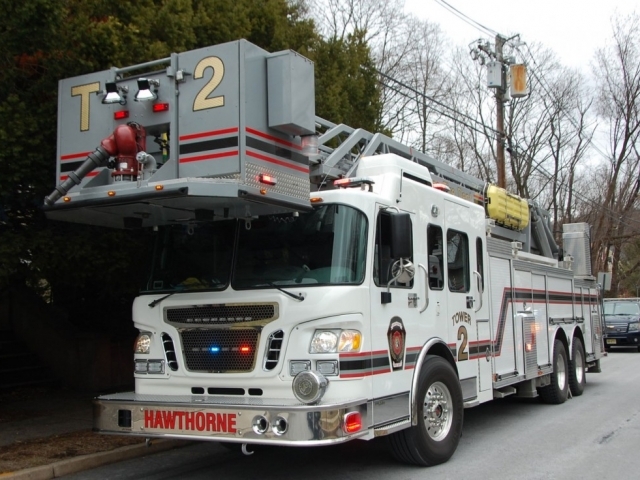 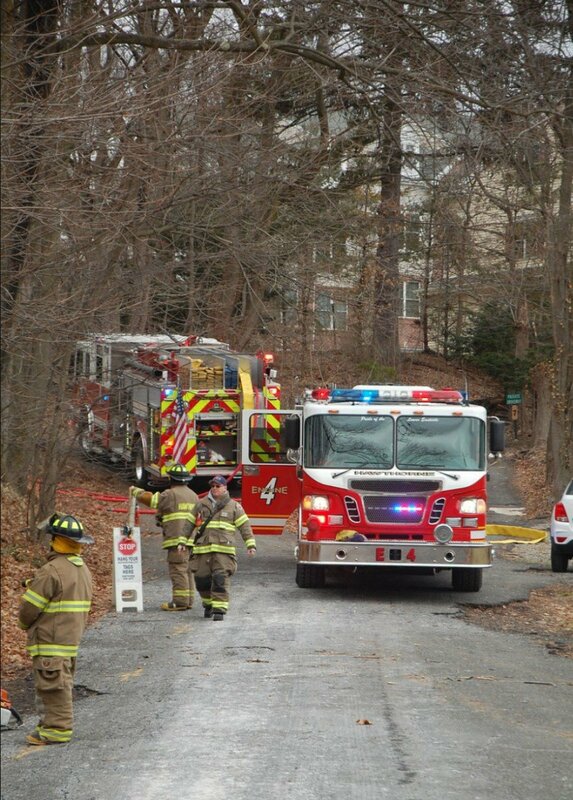 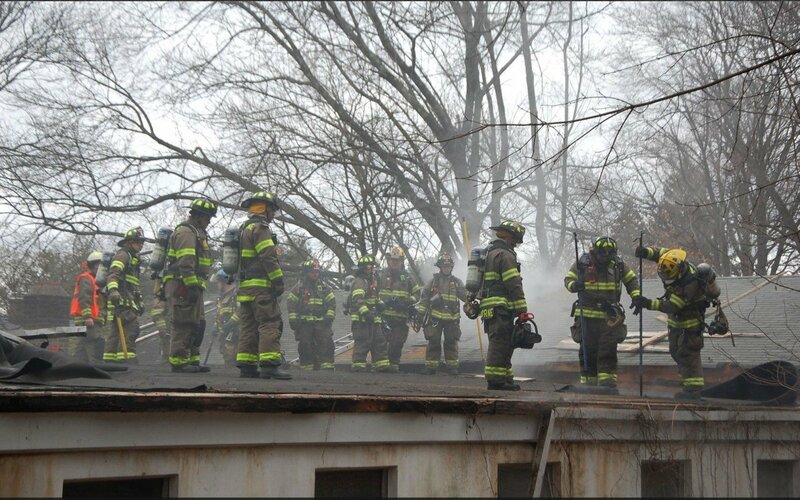 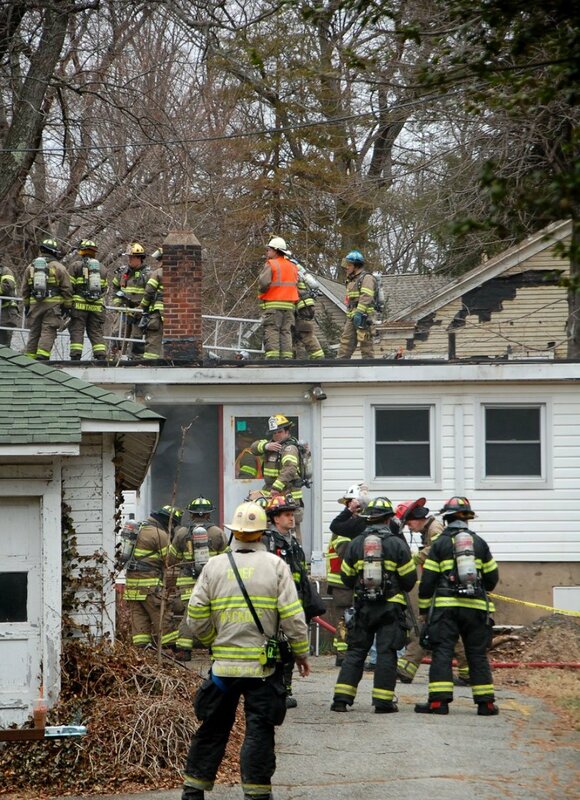 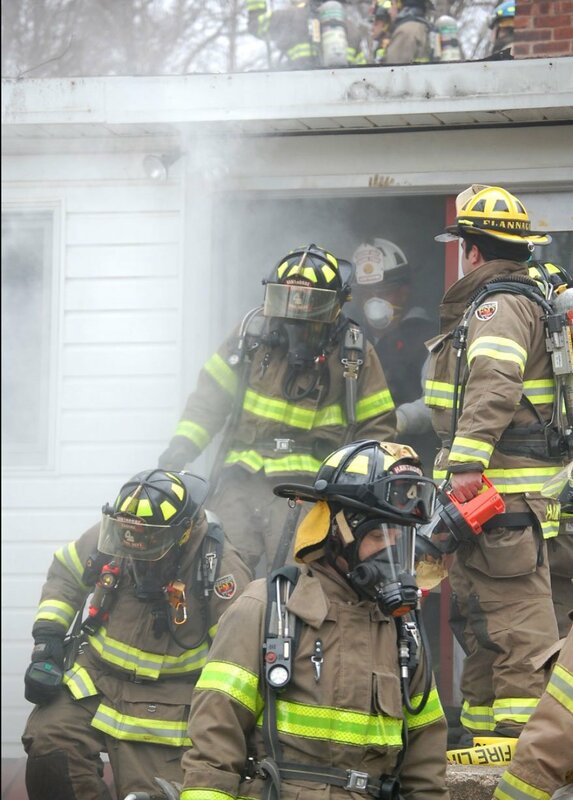 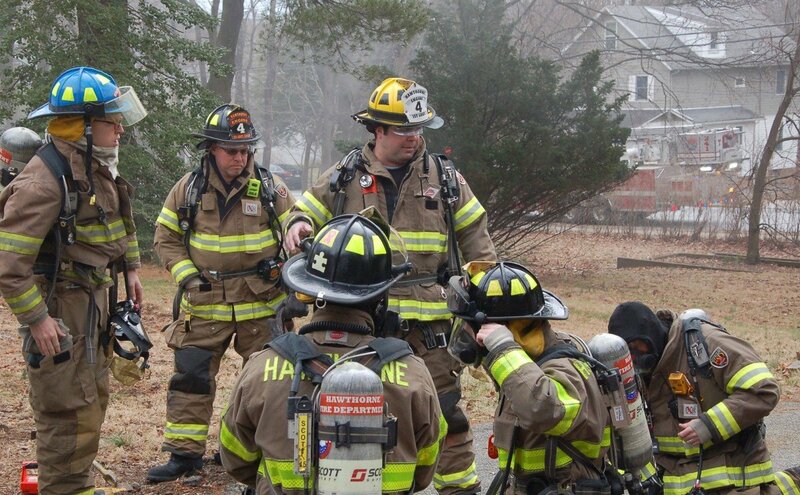 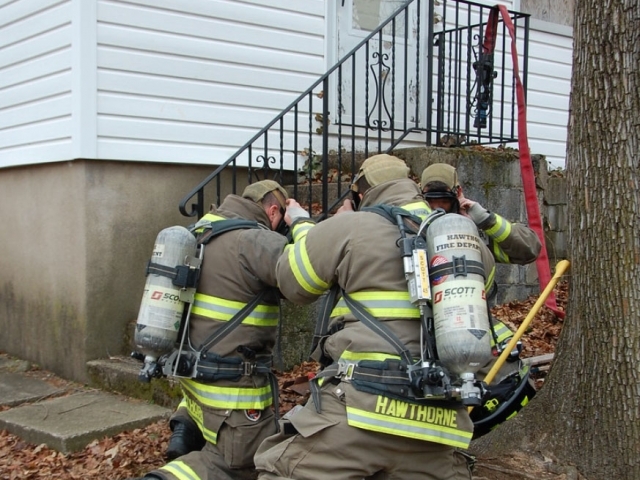 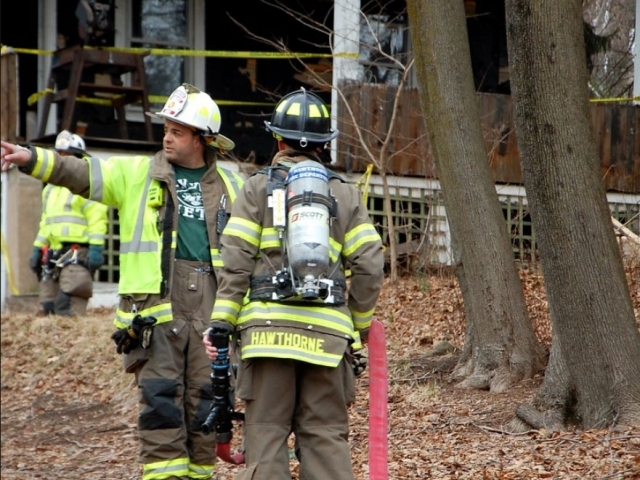 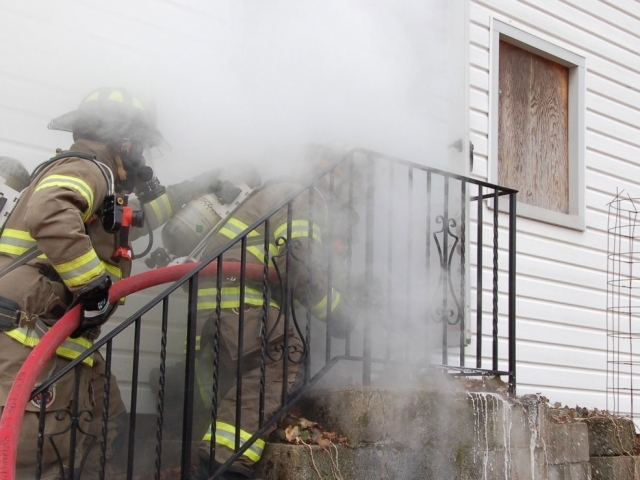 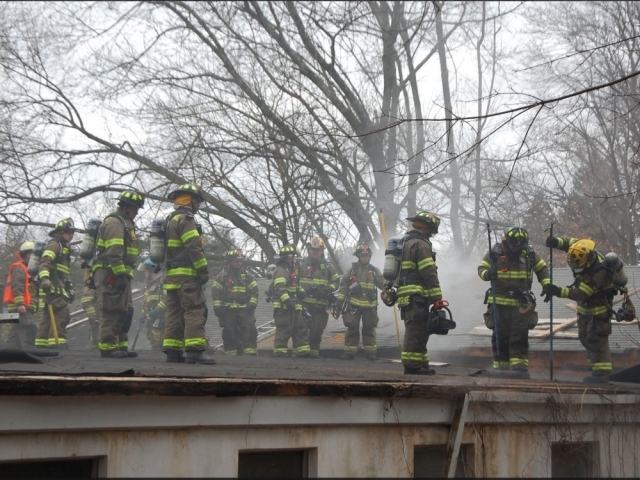 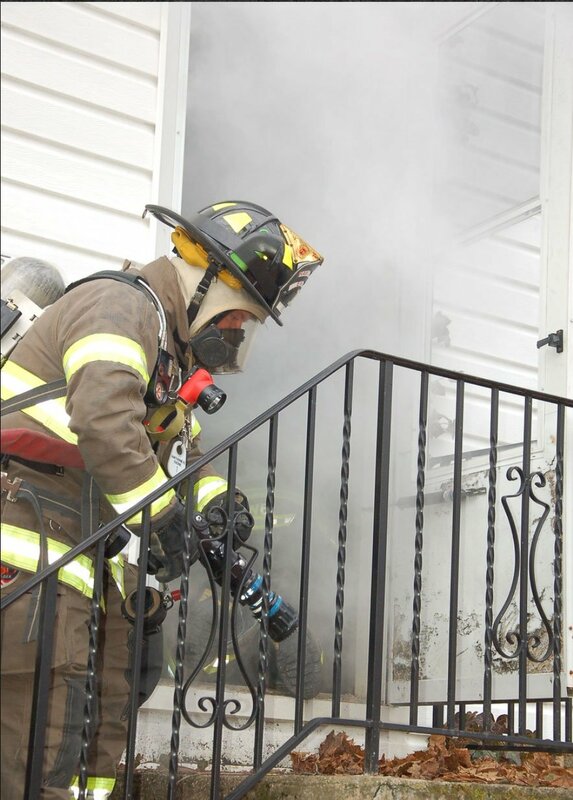 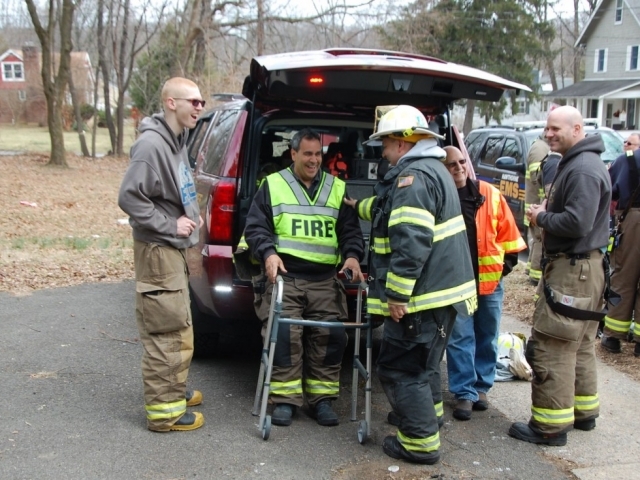 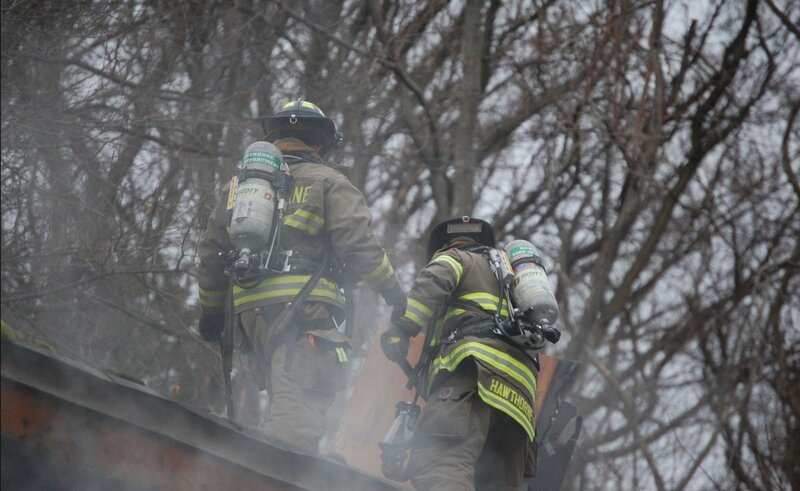 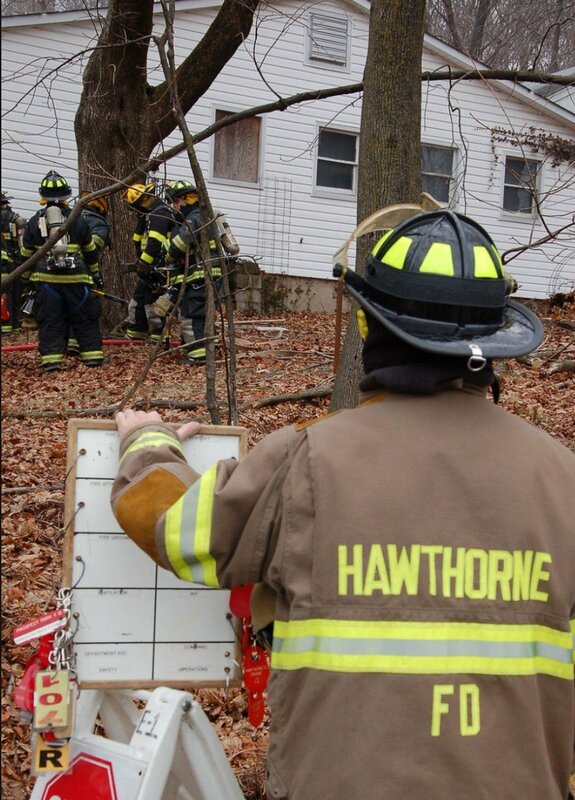 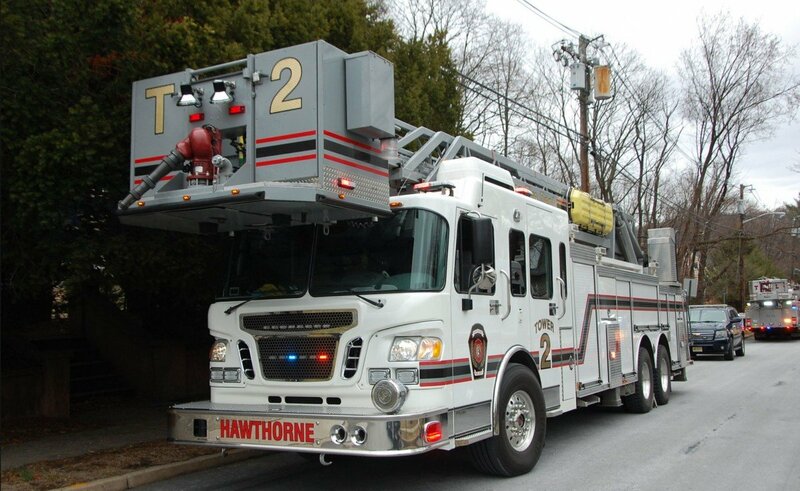 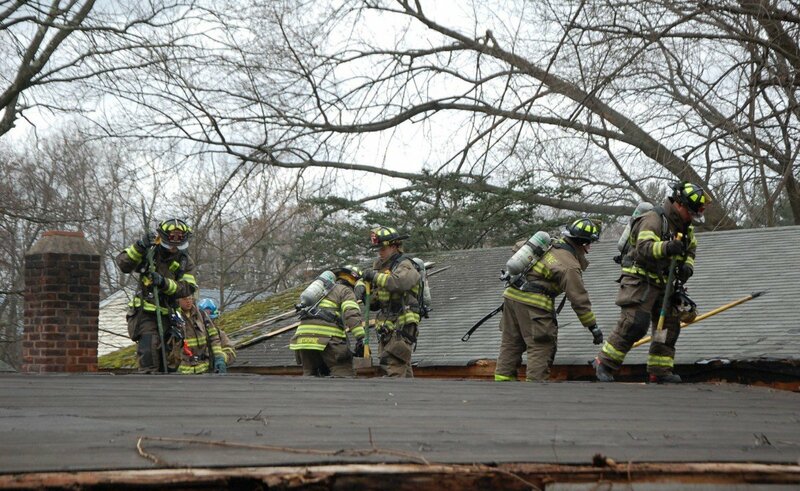 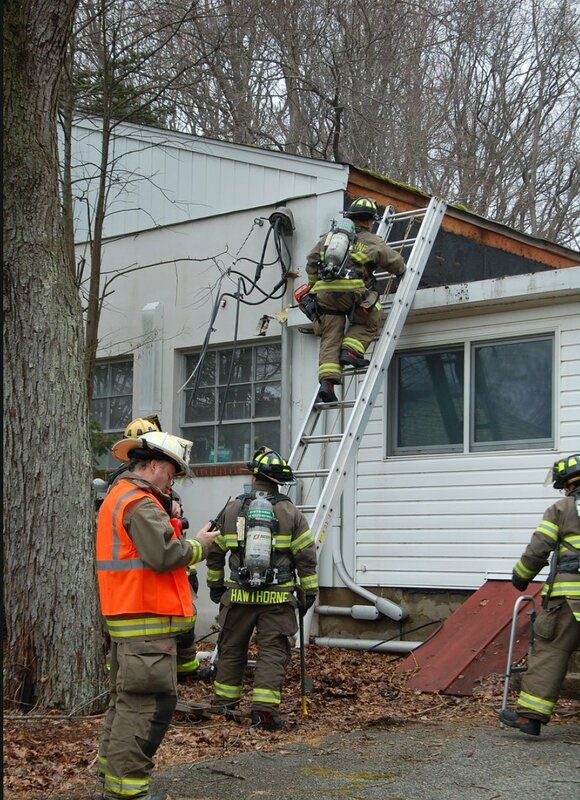 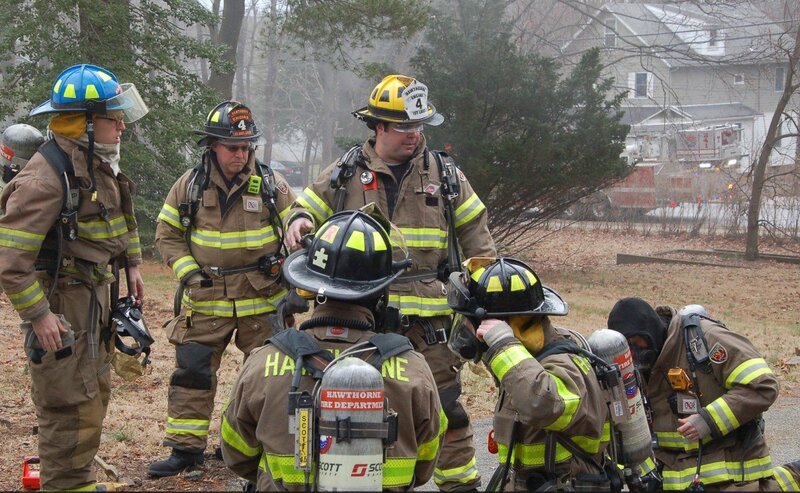 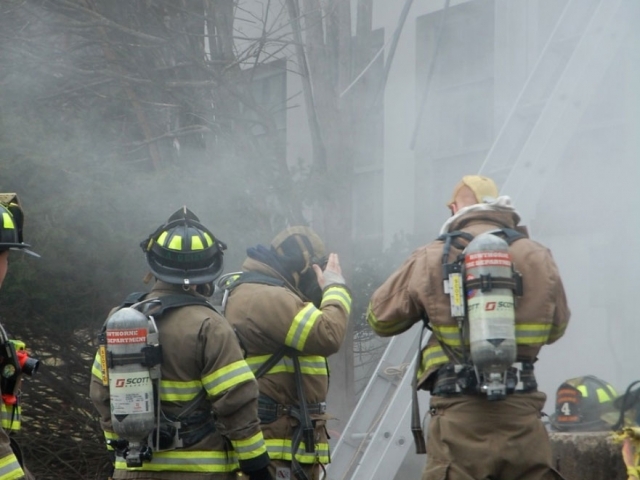 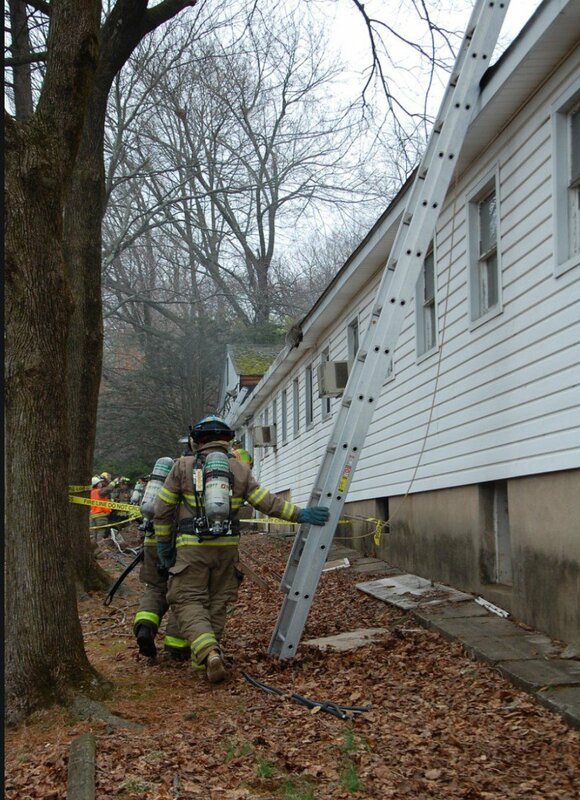 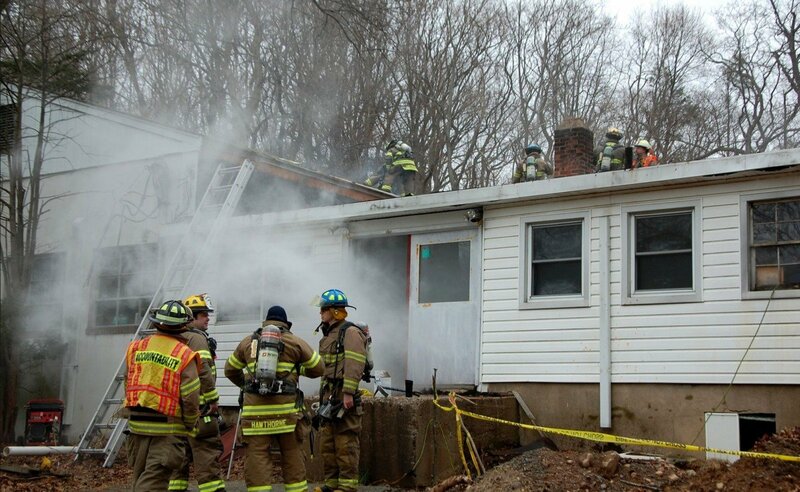 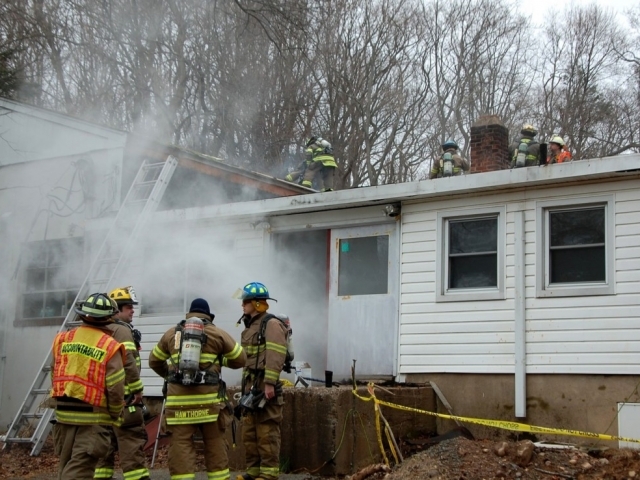 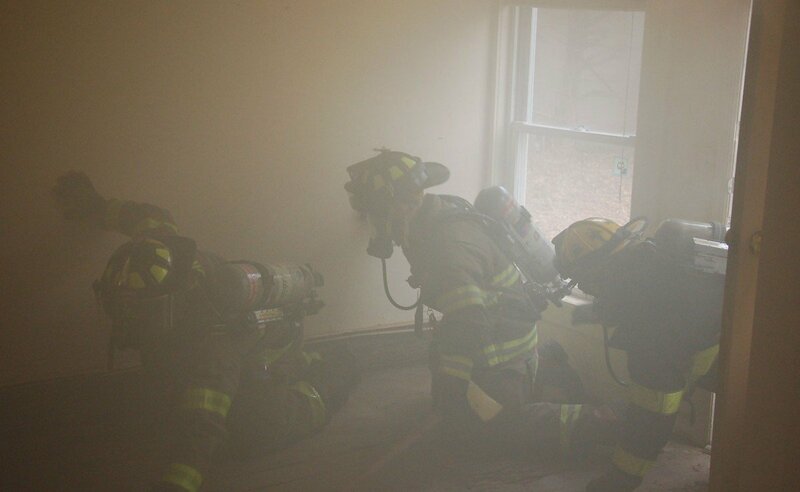 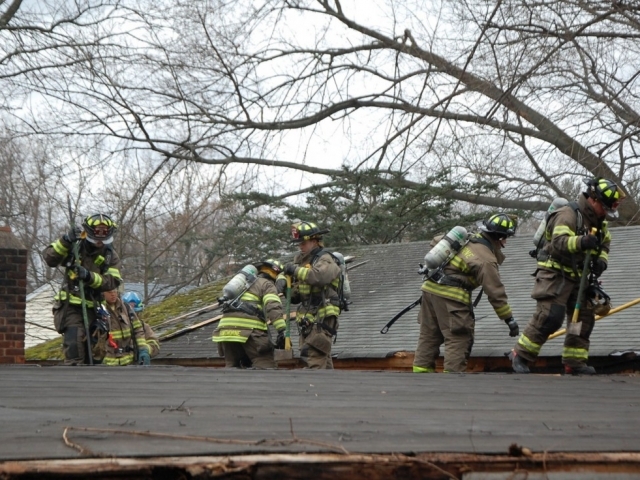 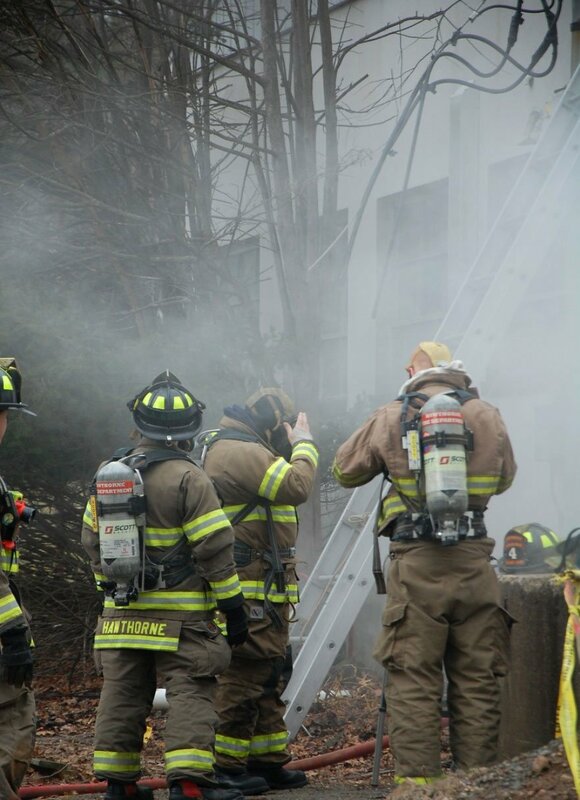 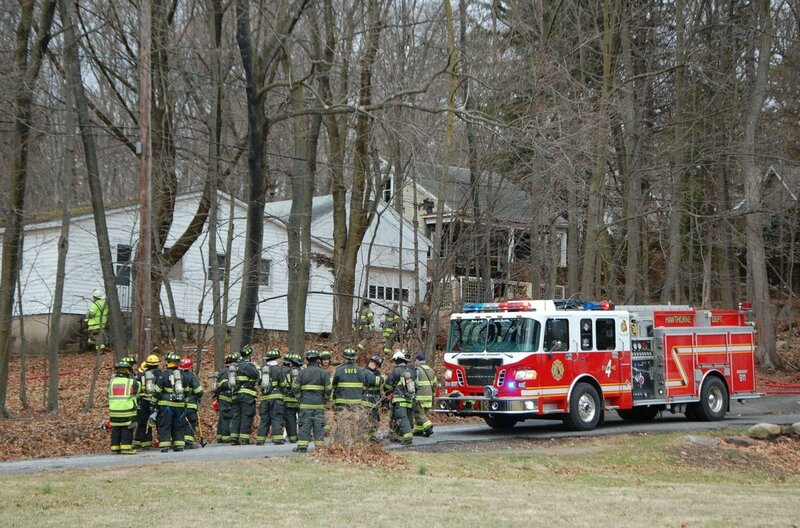 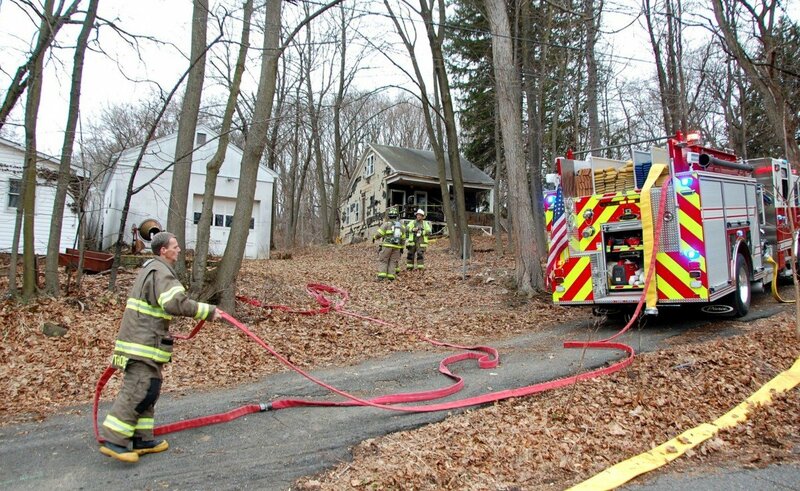 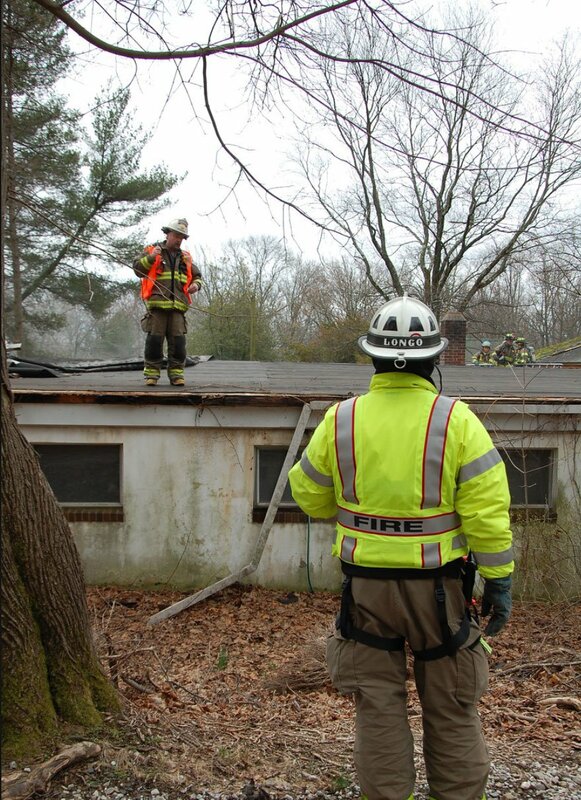 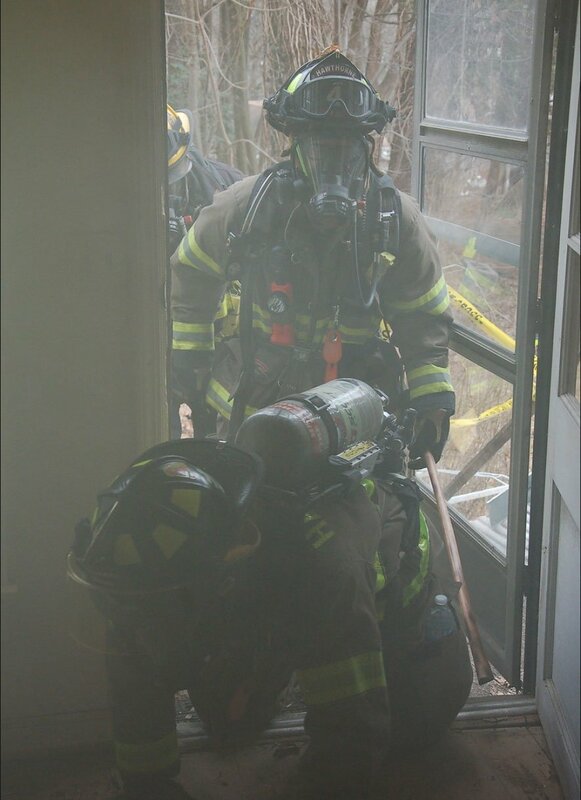 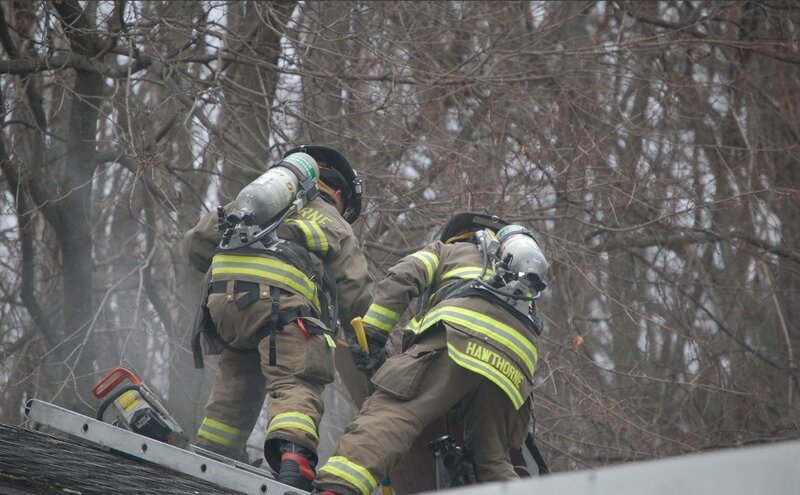 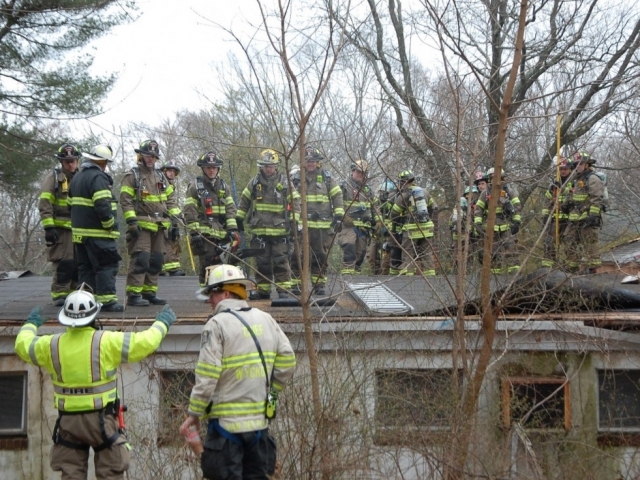 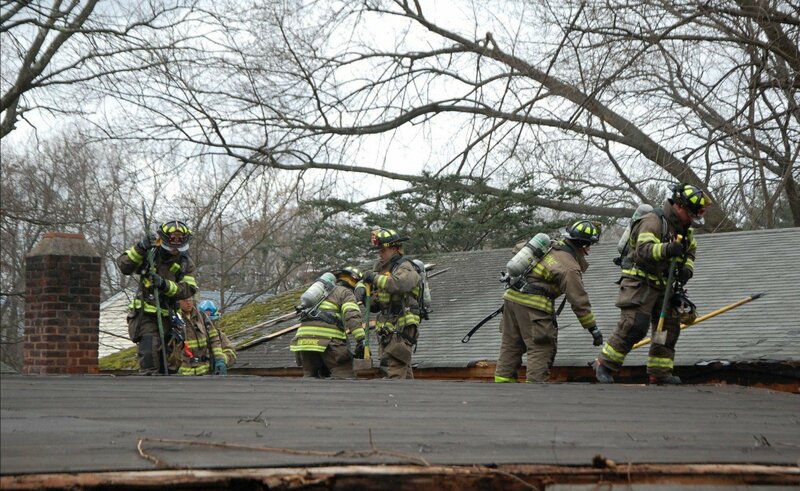 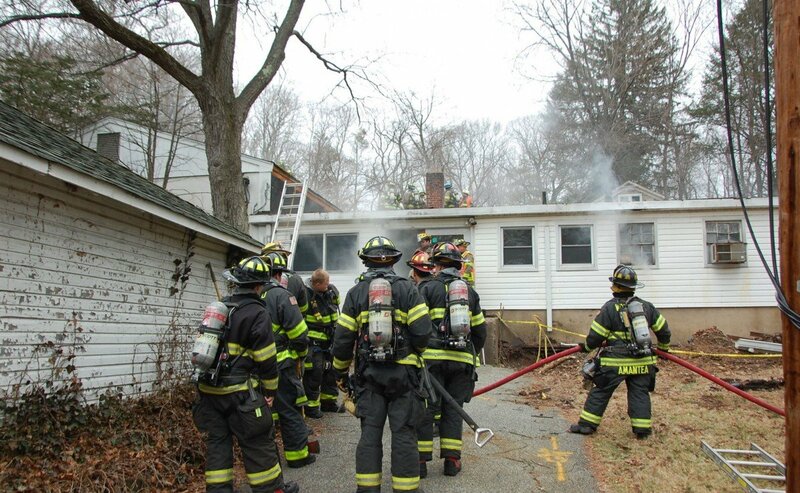 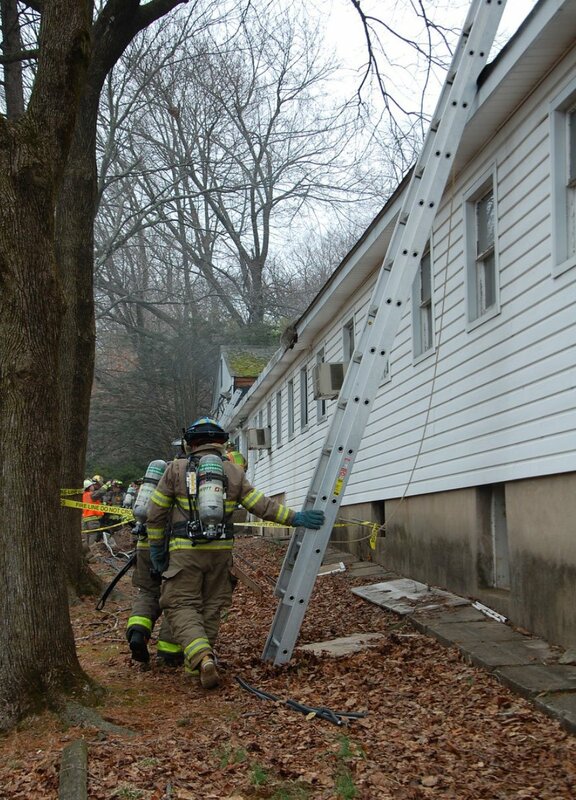 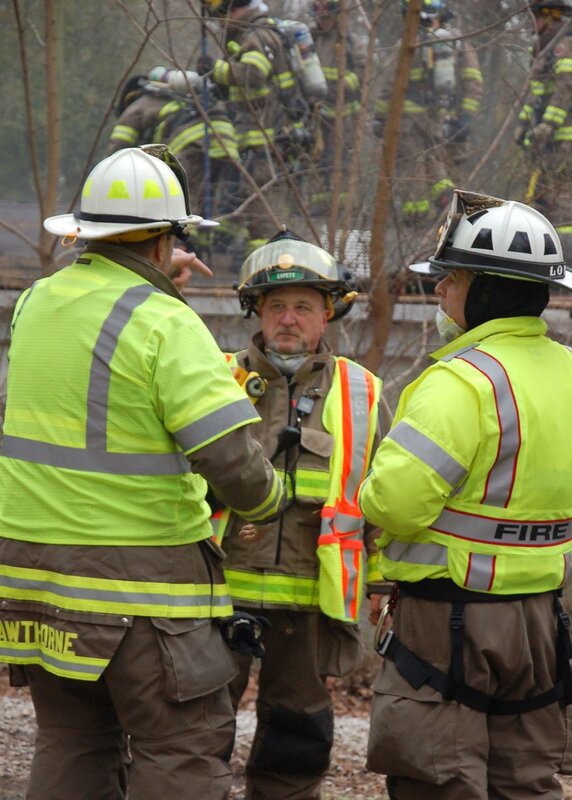 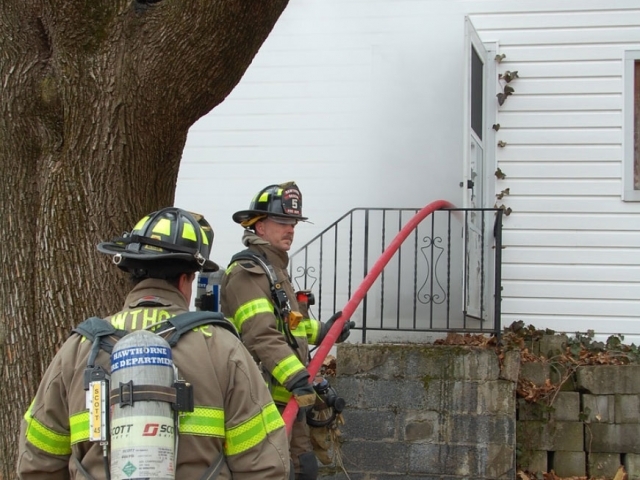 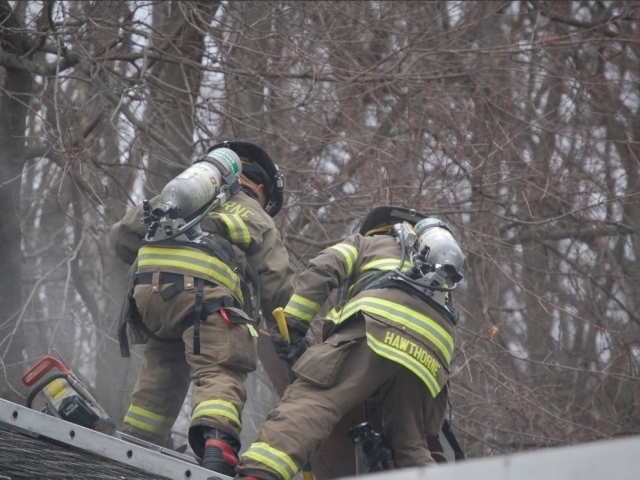 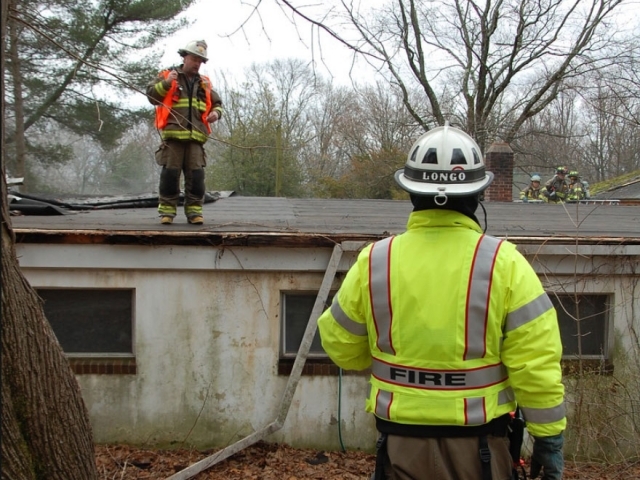 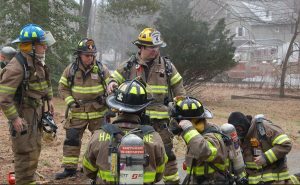 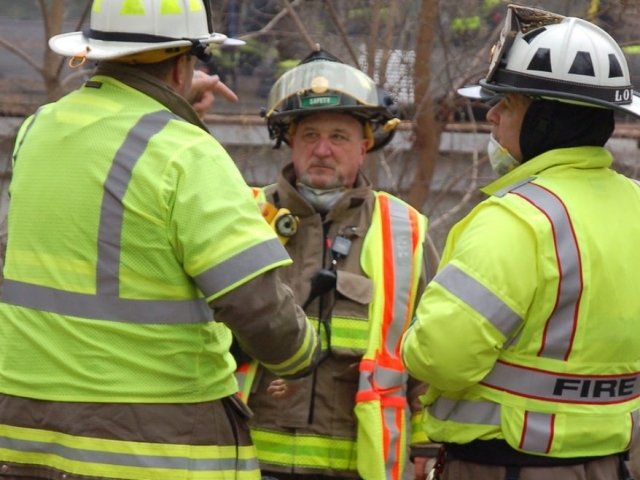 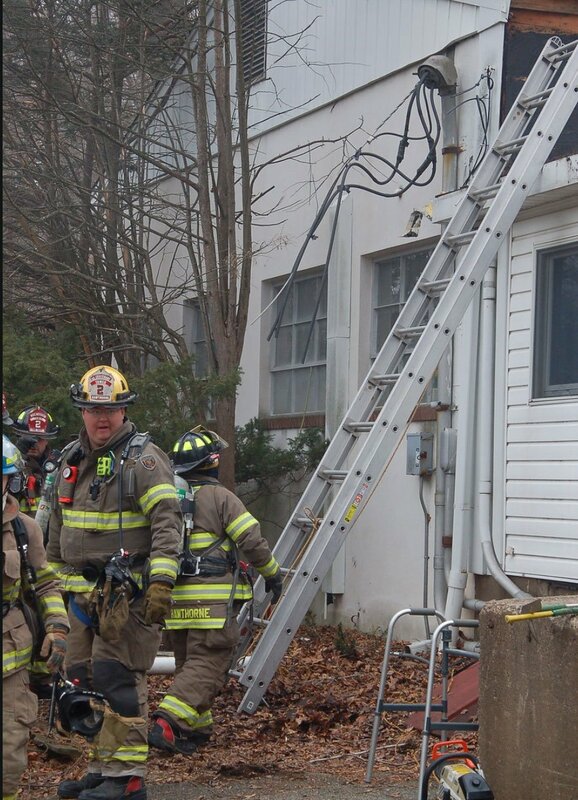 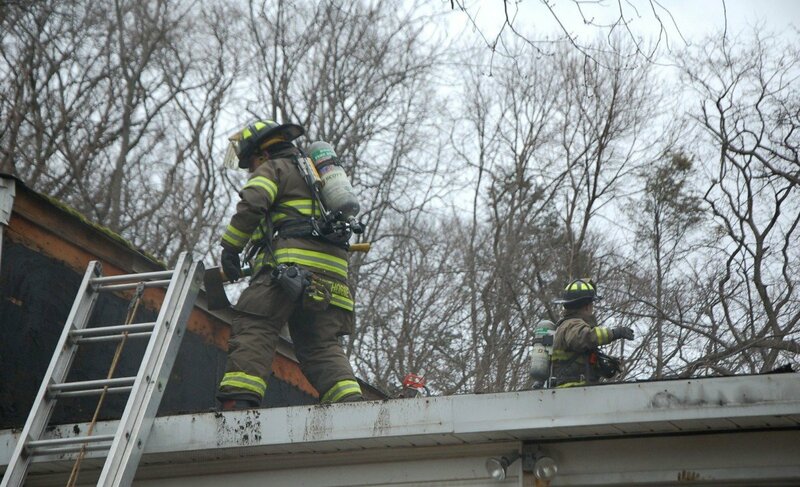 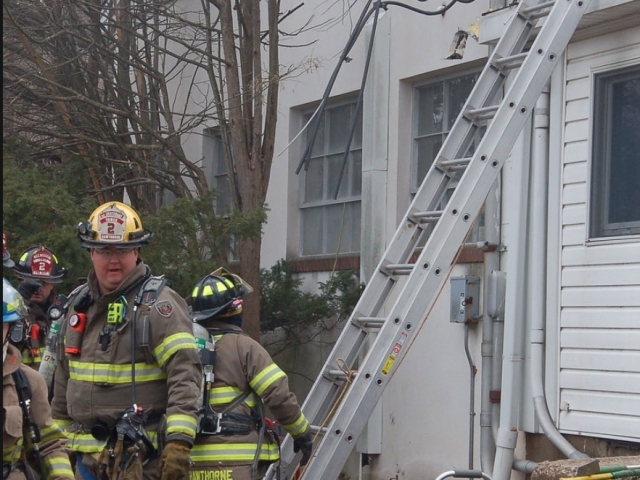 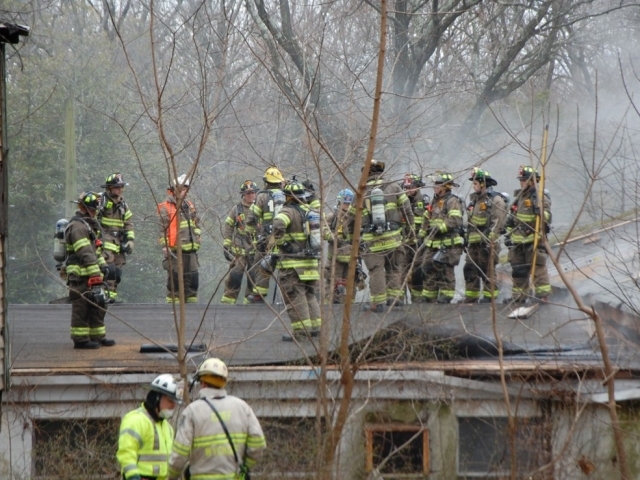 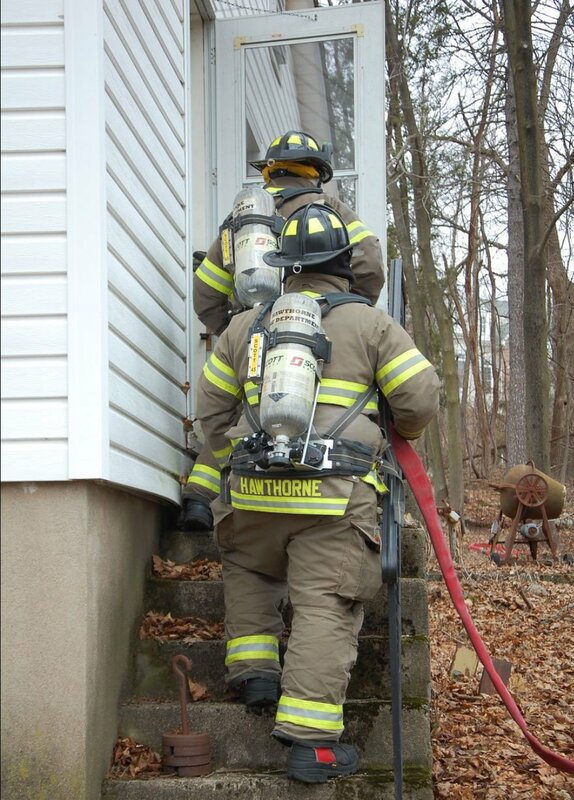 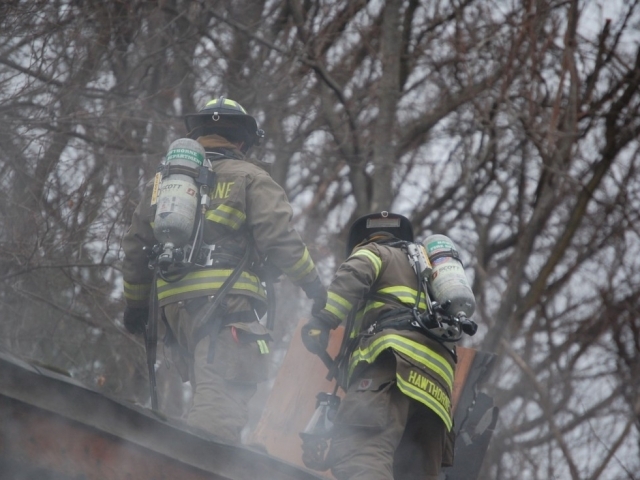 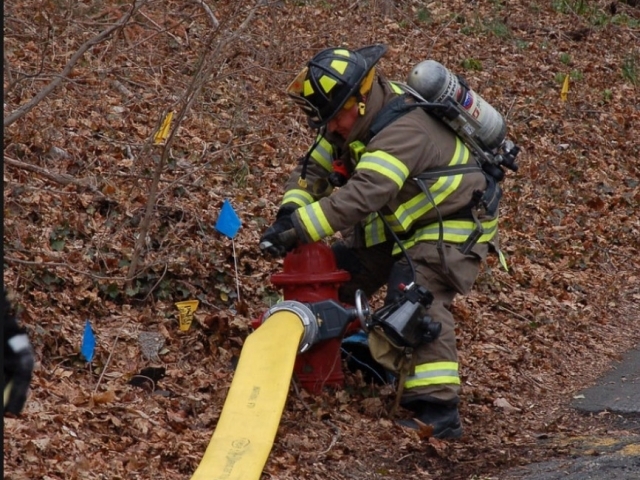 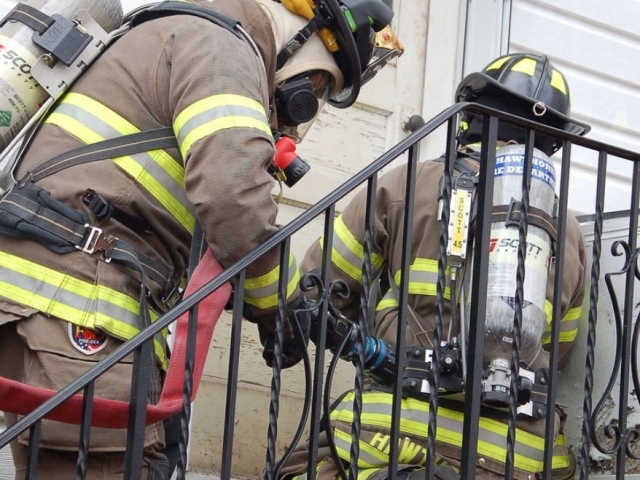 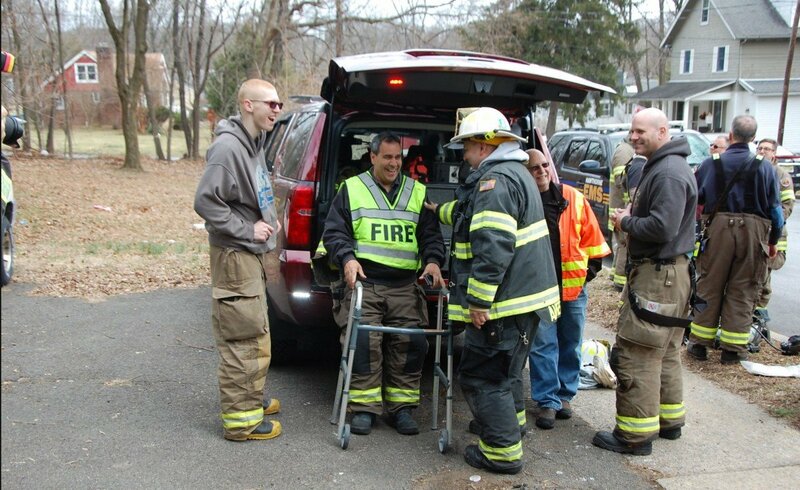 On Sunday, March 4th, over 60 members from the Hawthorne Fire Department, Glen Rock, Wyckoff, Haledon and Prospect Park Fire Departments participated in a live drill at three buildings at Sotnick Street in Hawthorne. 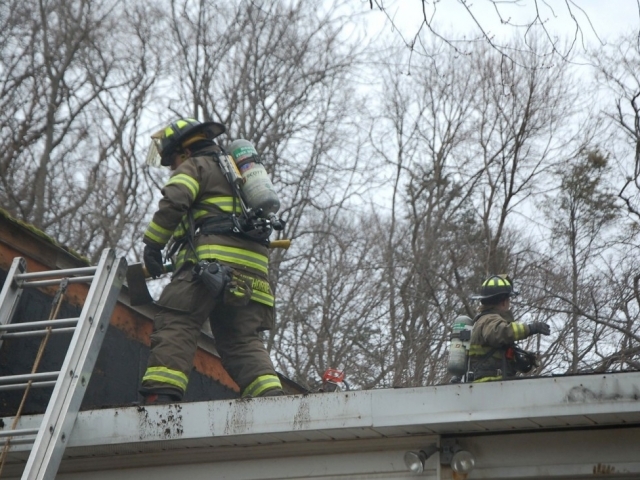 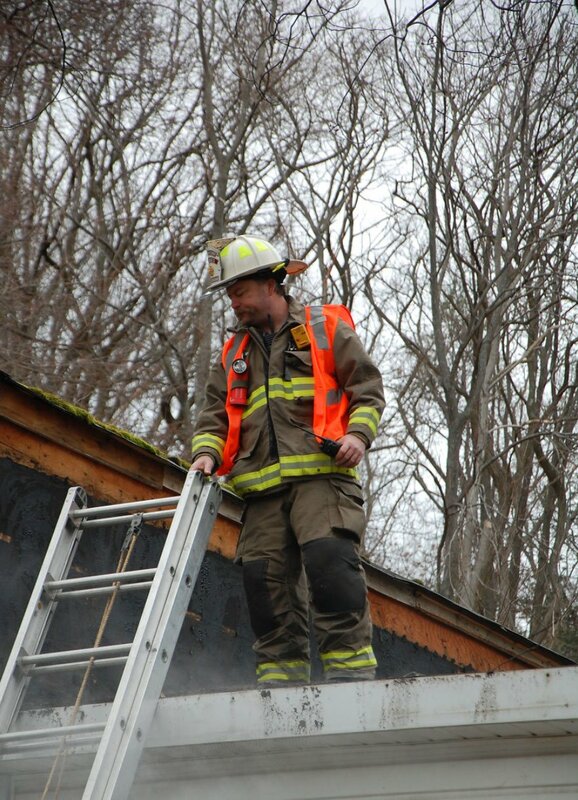 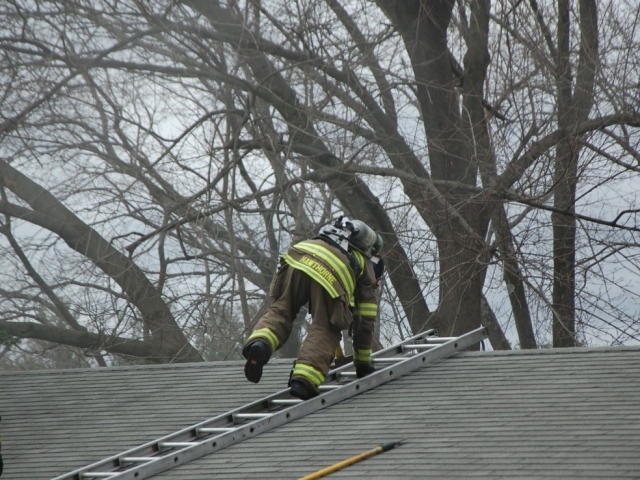 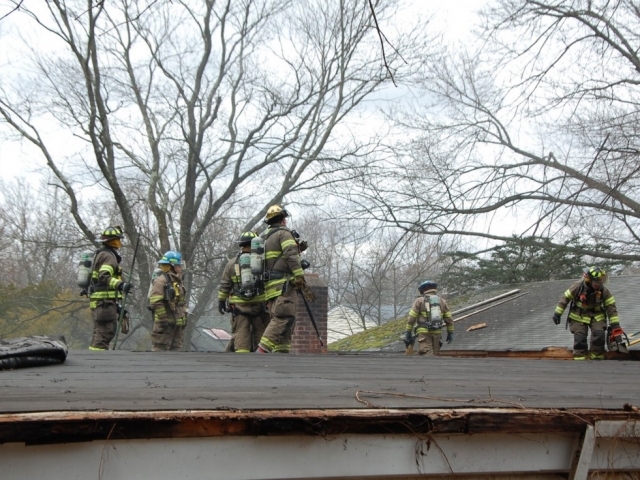 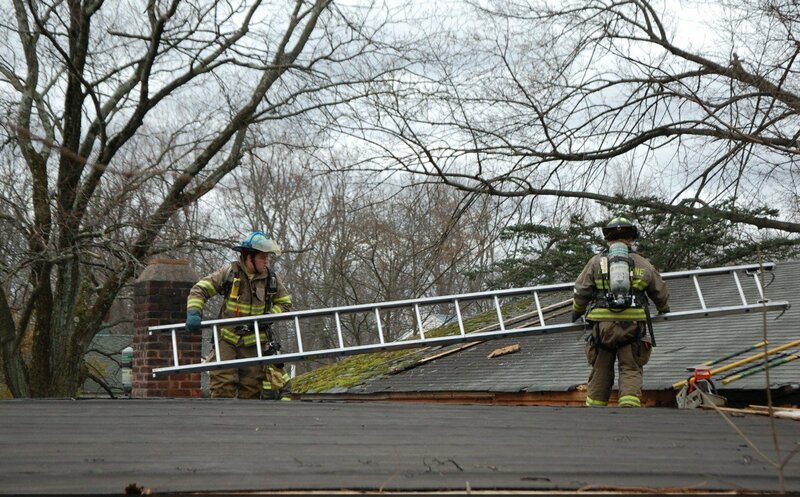 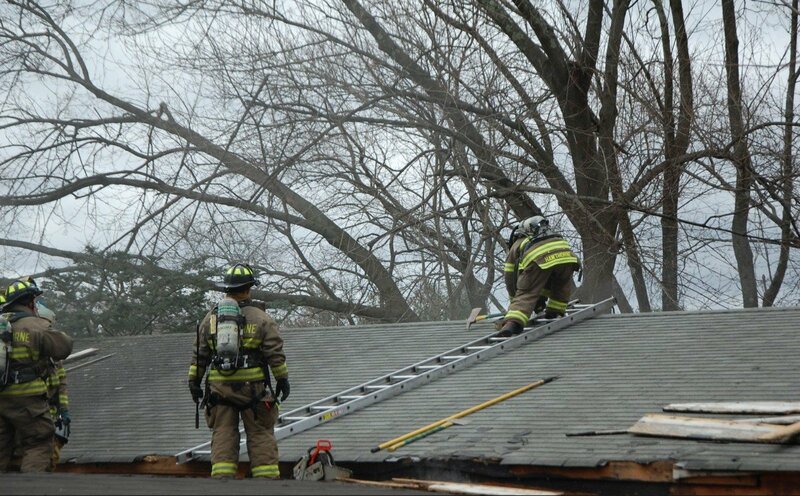 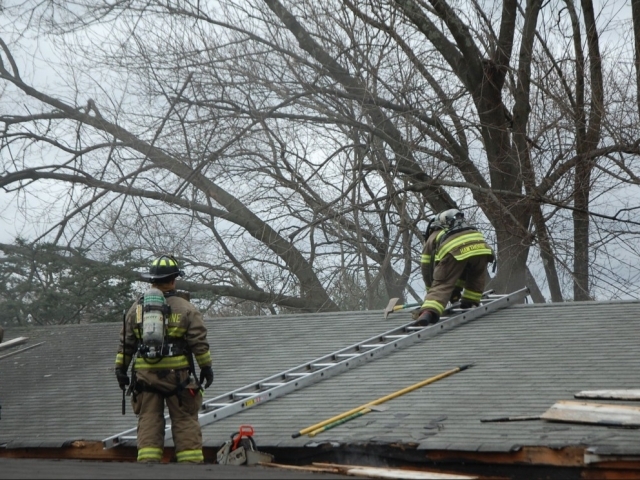 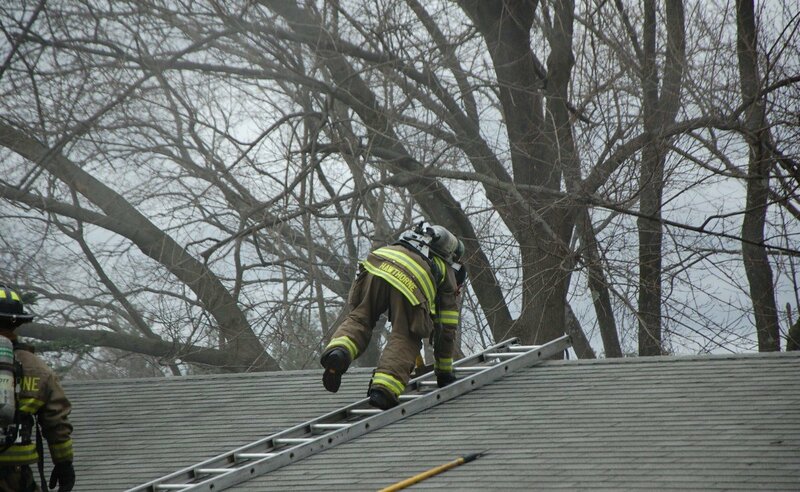 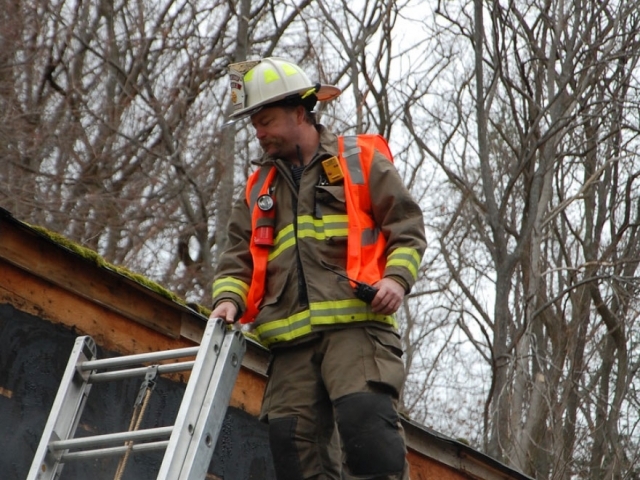 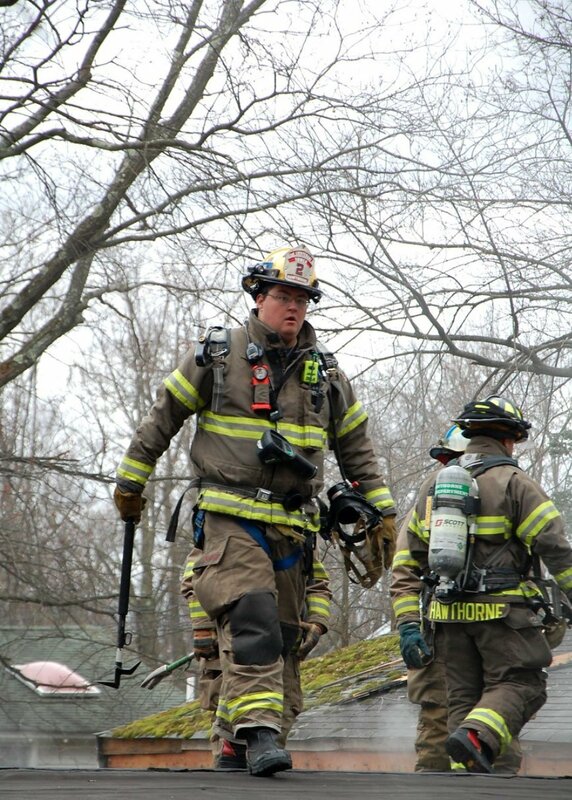 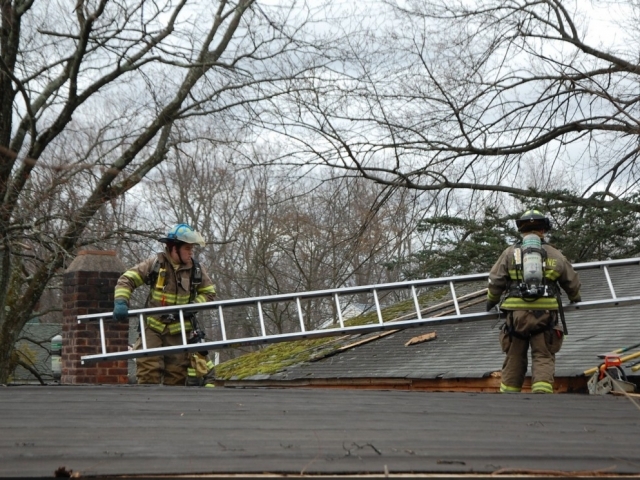 The drill was conducted as a live event, and arriving engines were put to work running hose and search-and-rescue as tower companies worked on initial roof ventilation. 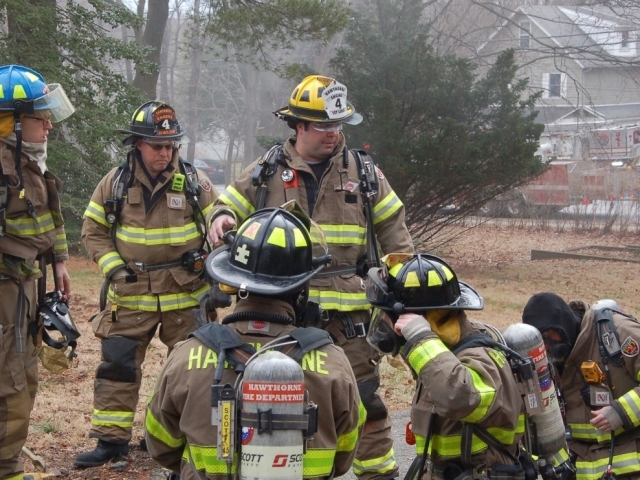 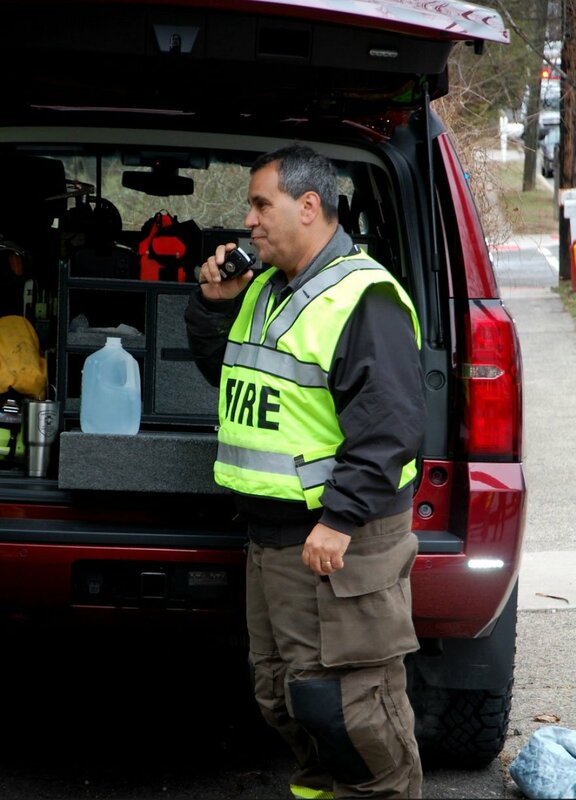 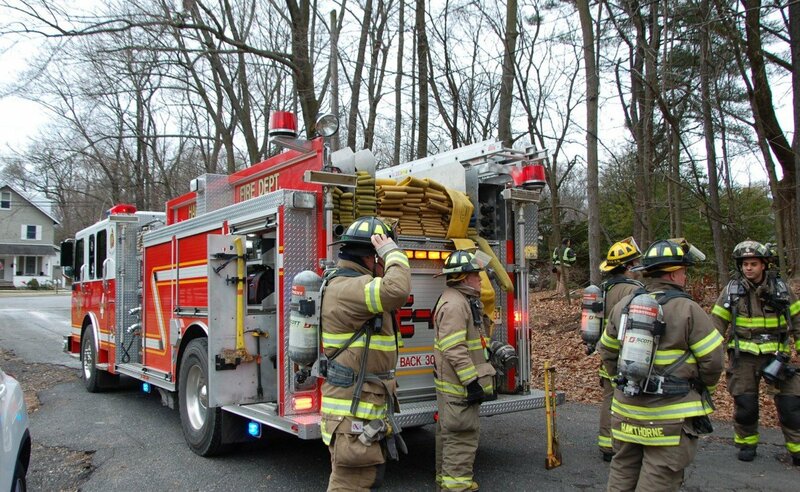 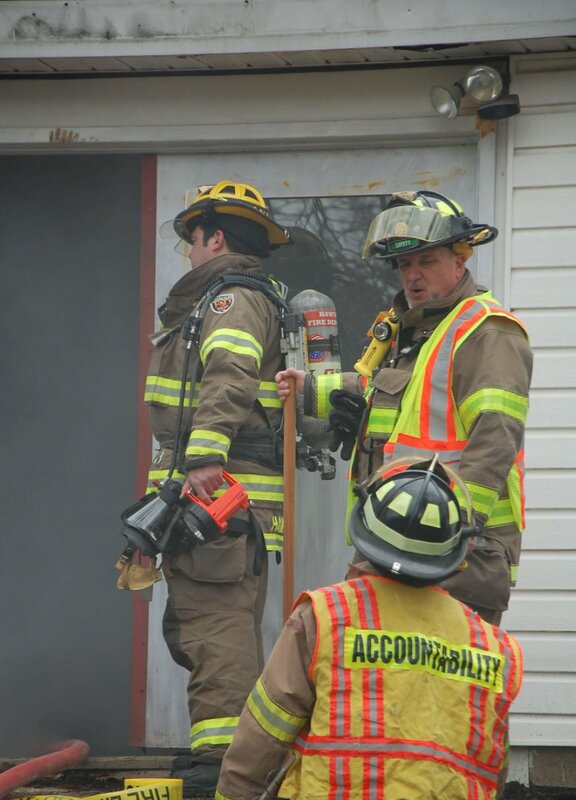 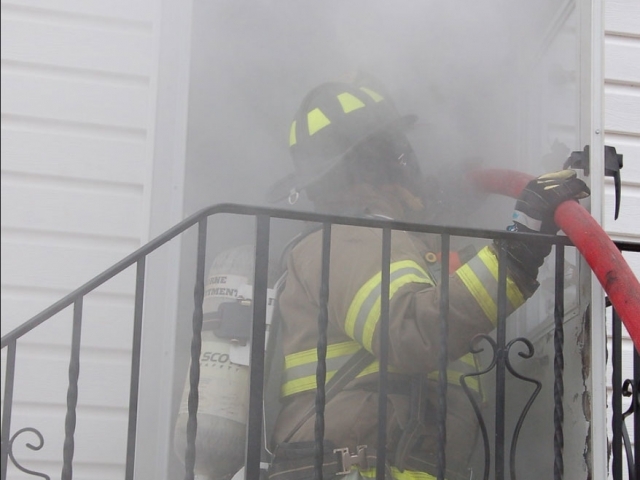 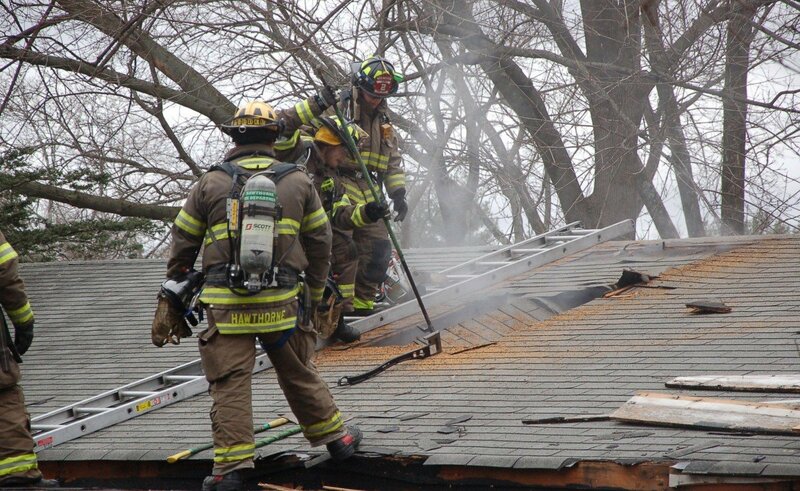 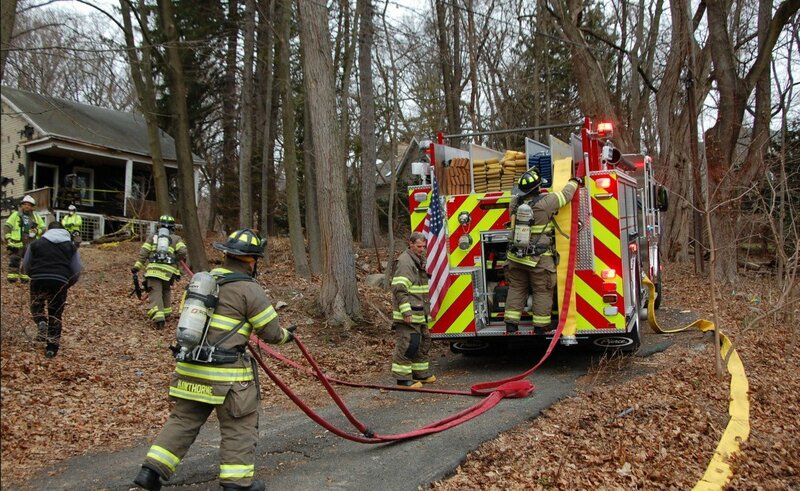 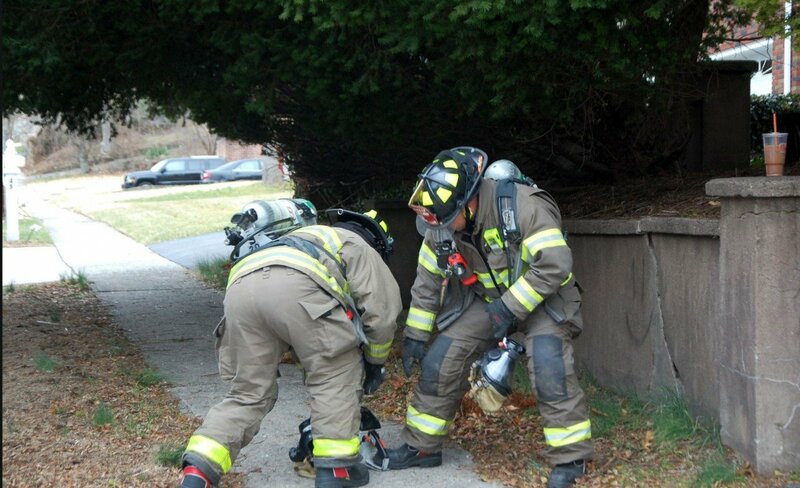 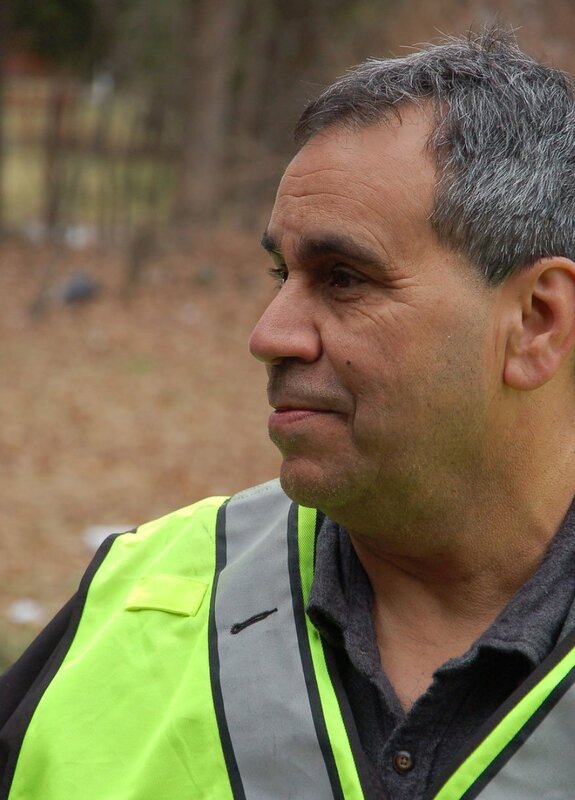 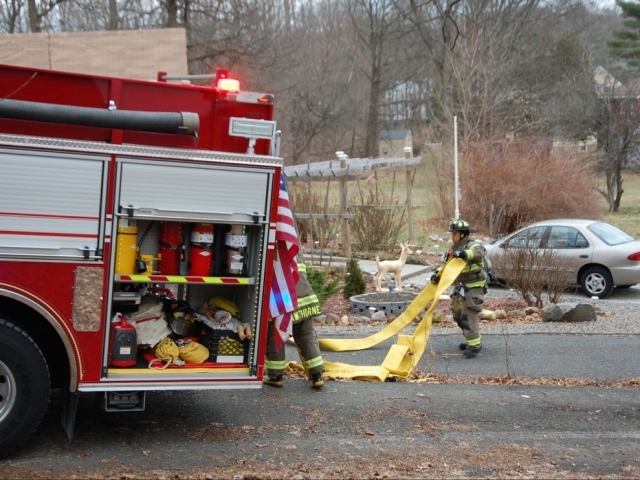 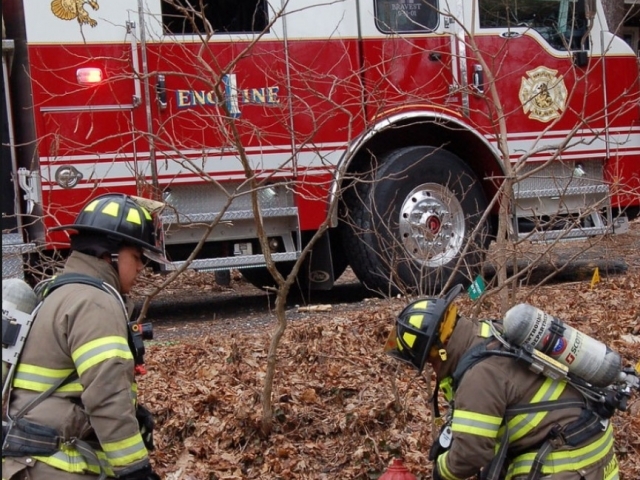 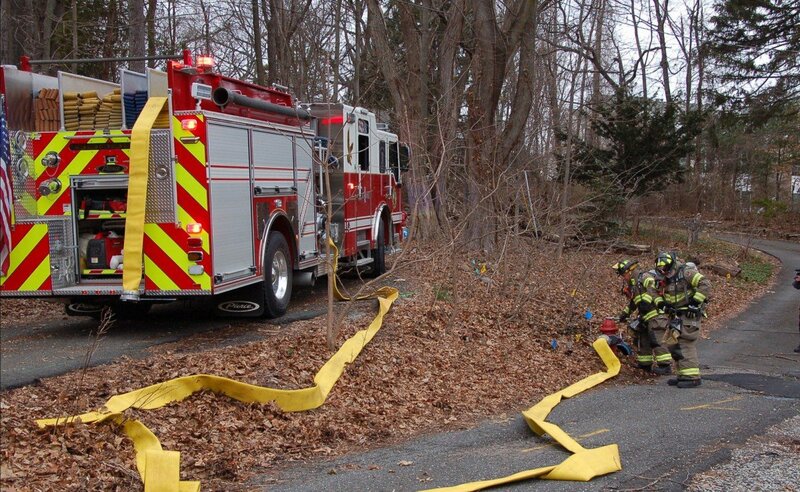 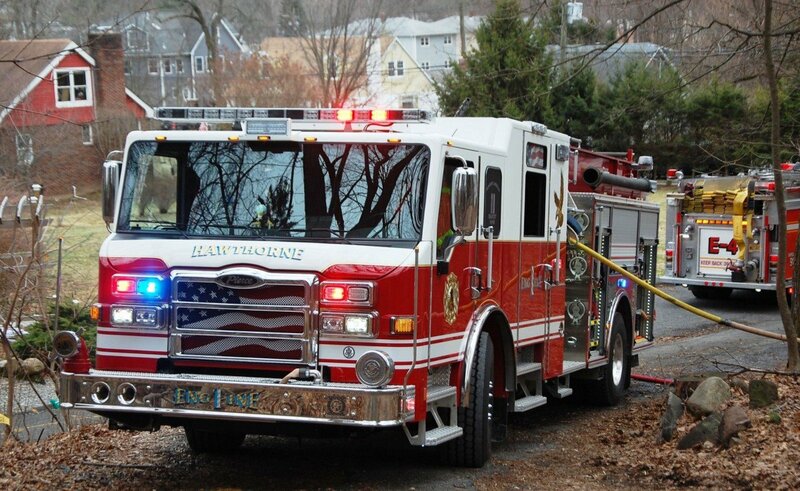 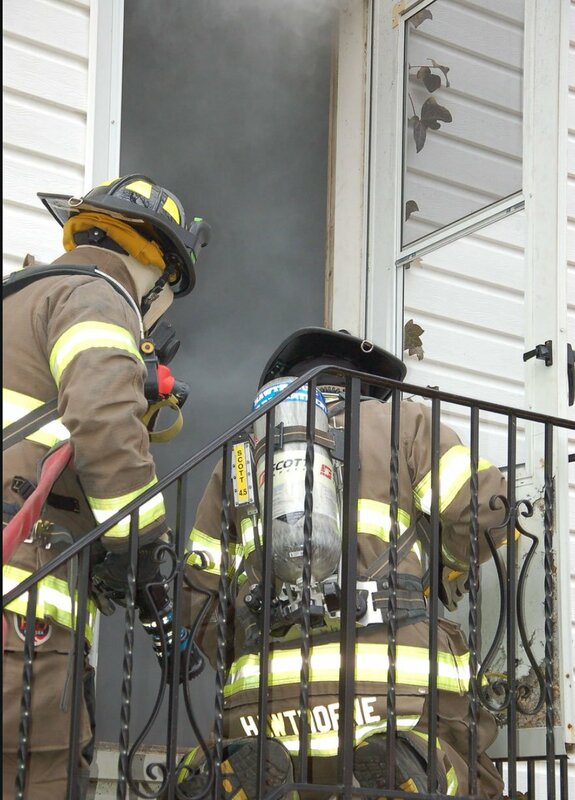 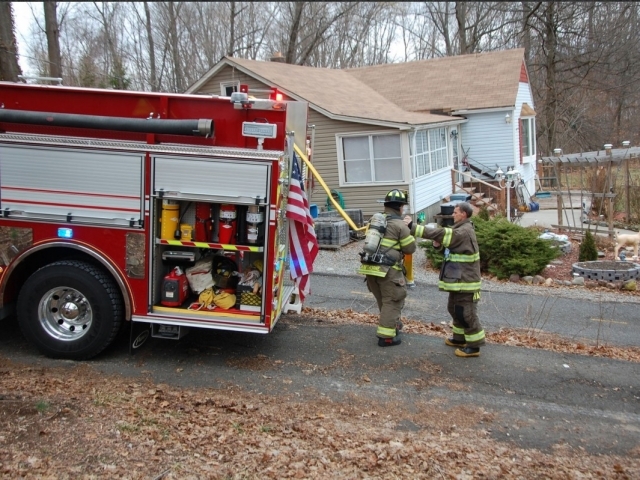 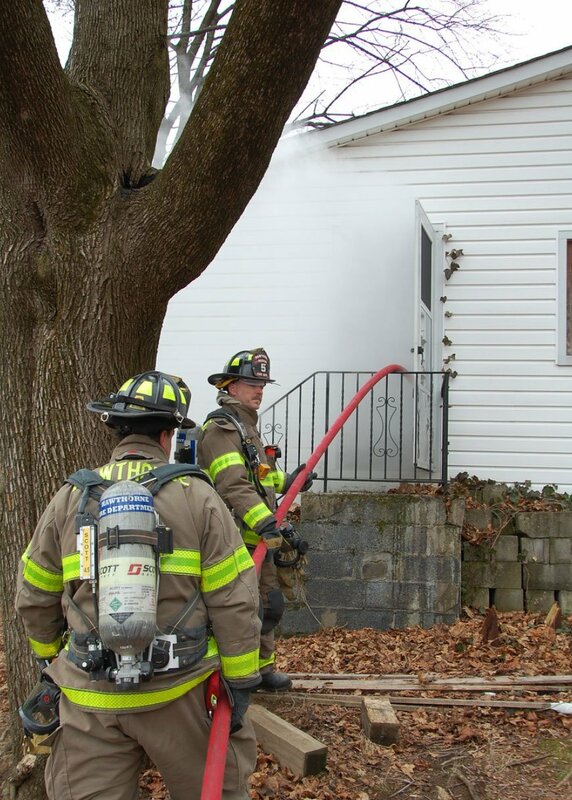 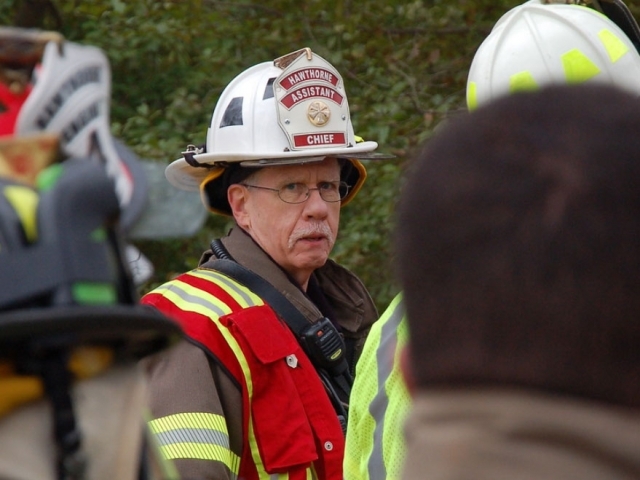 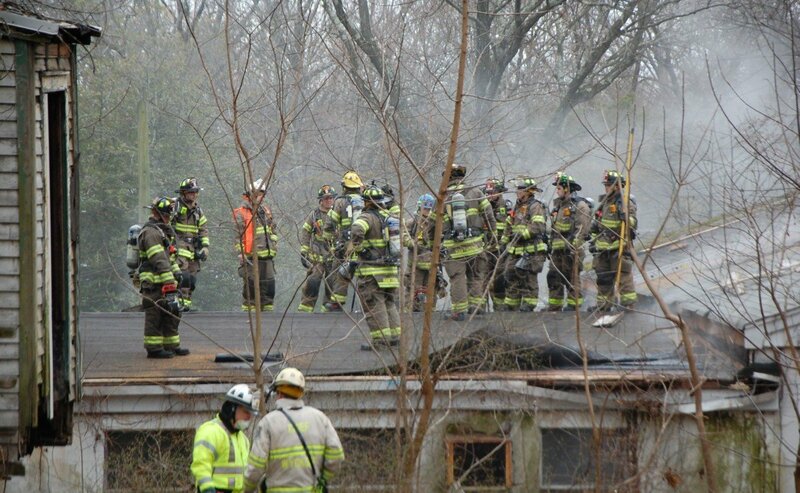 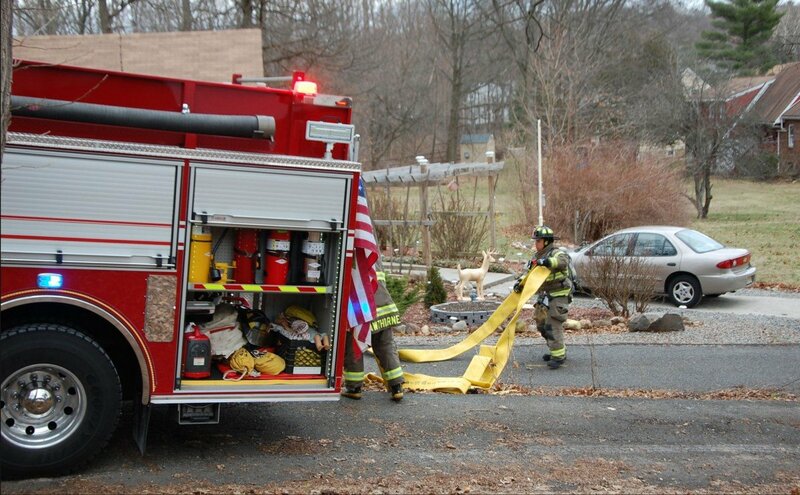 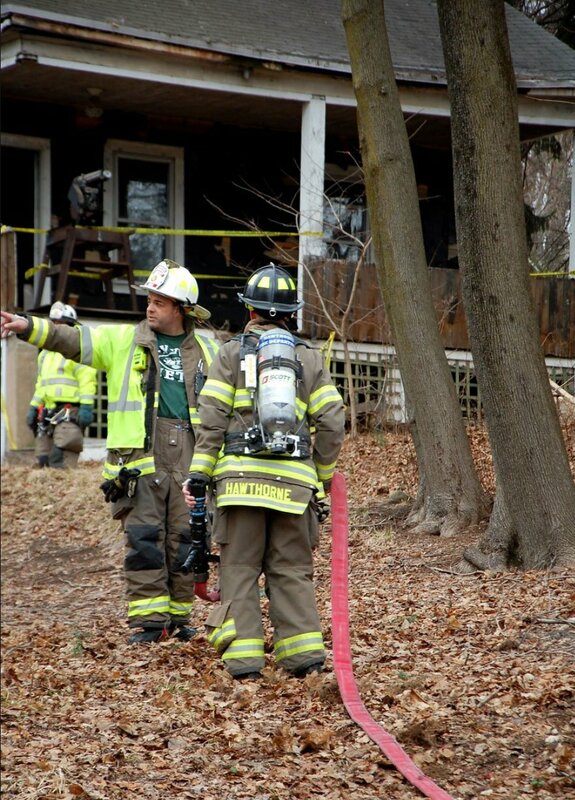 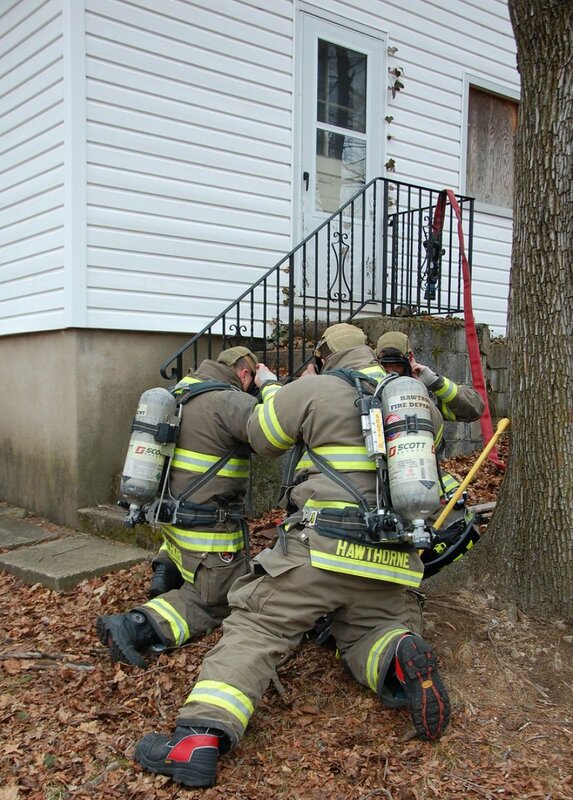 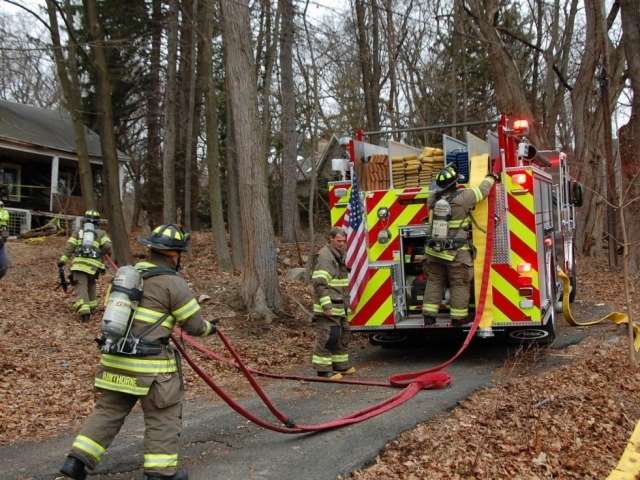 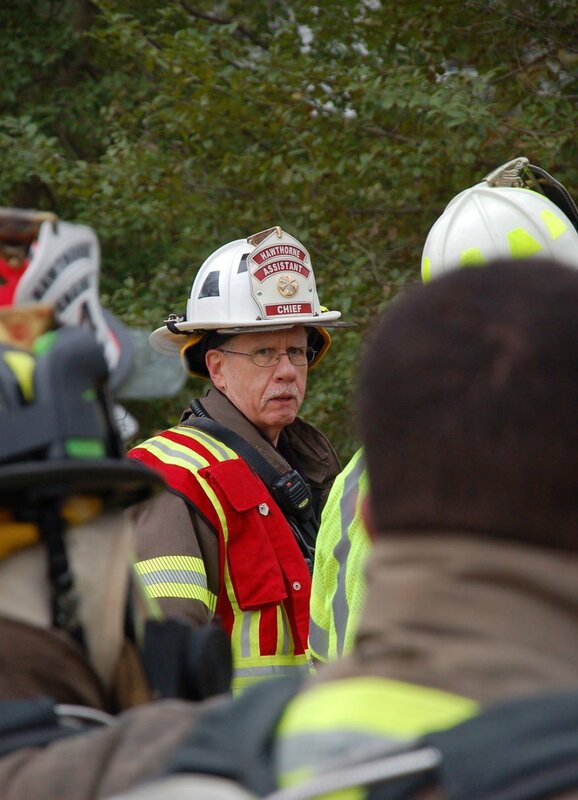 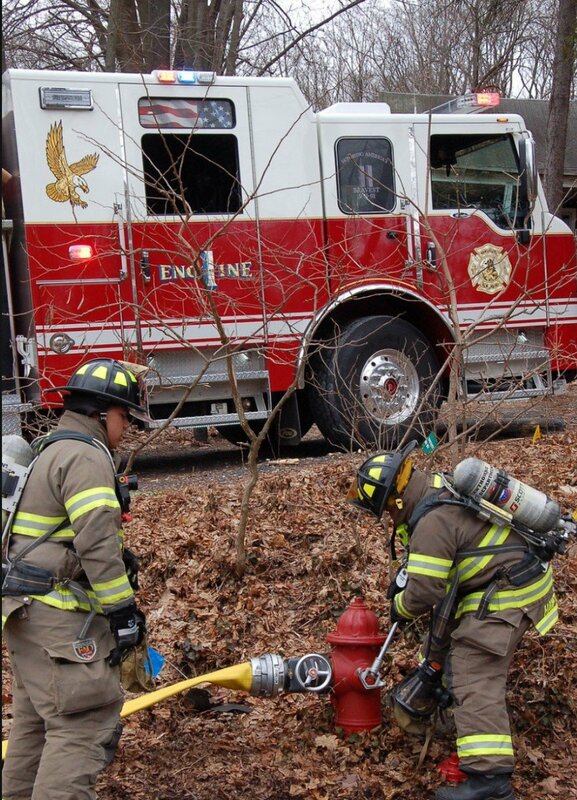 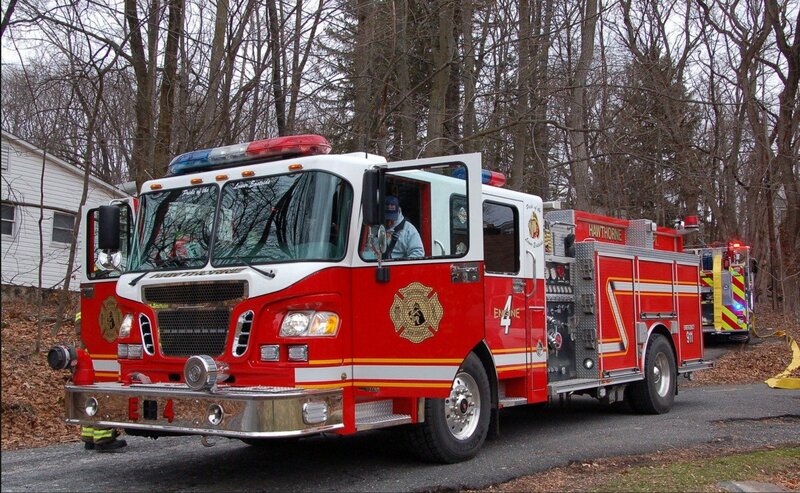 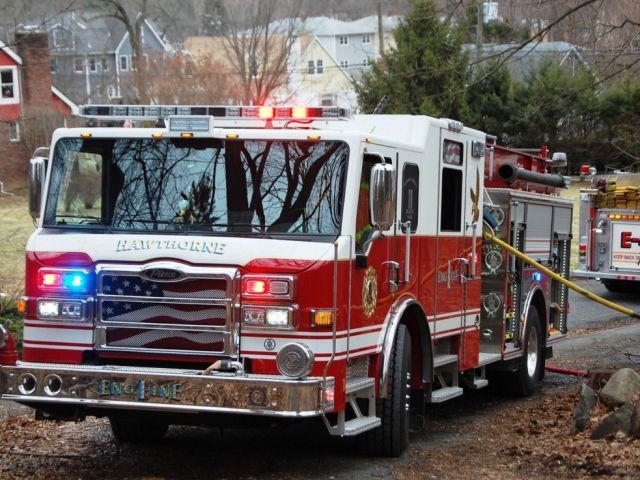 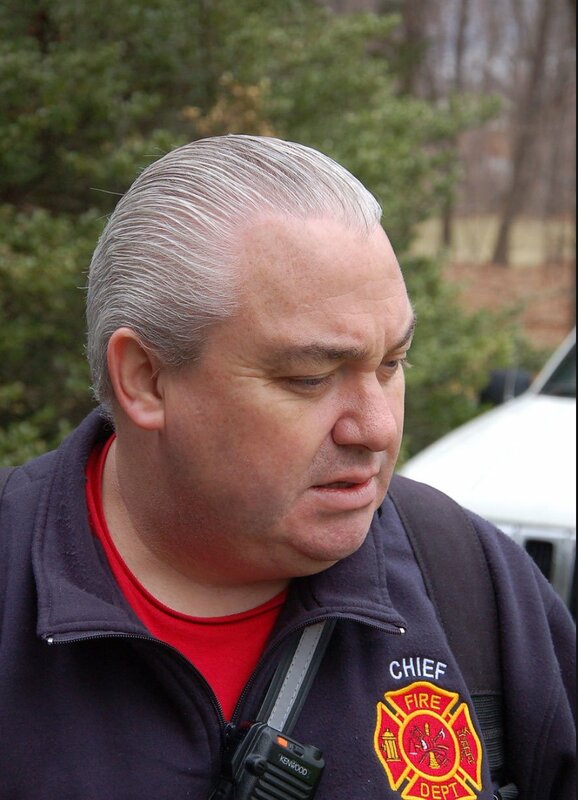 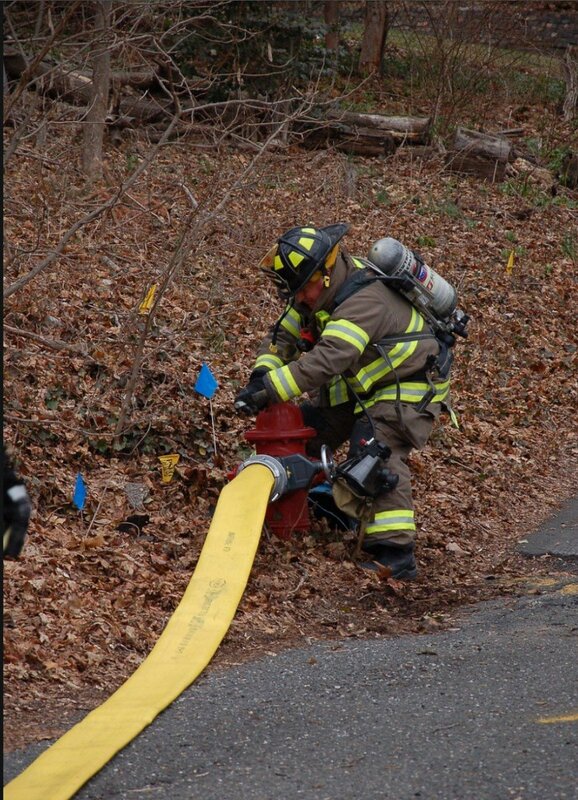 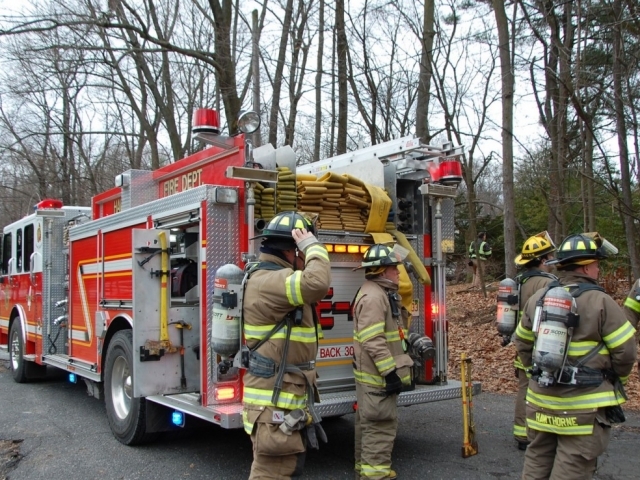 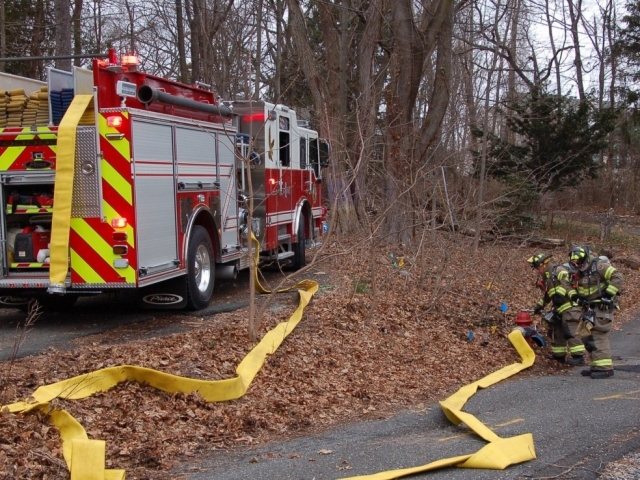 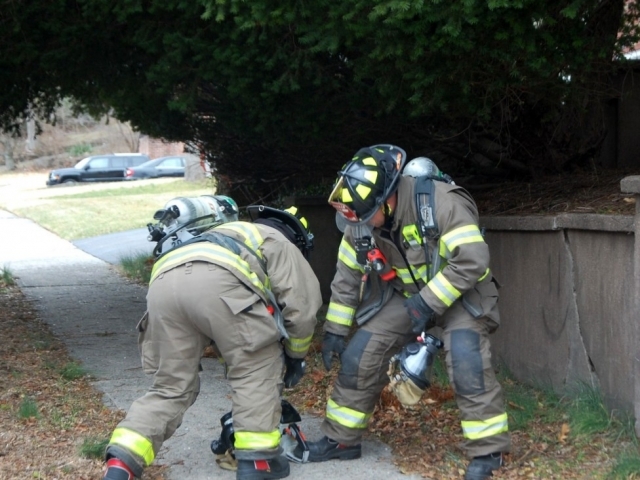 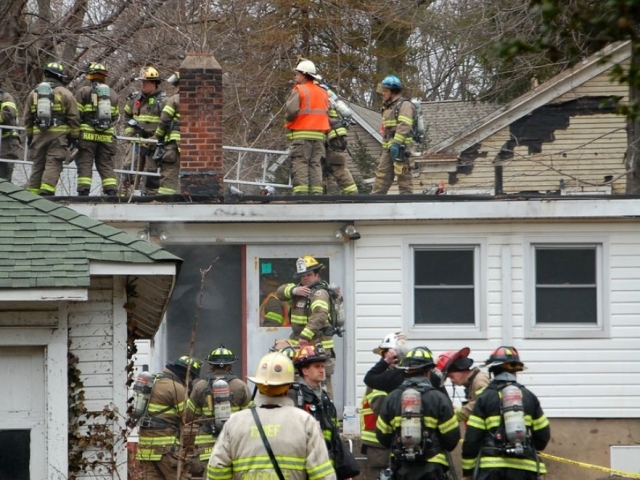 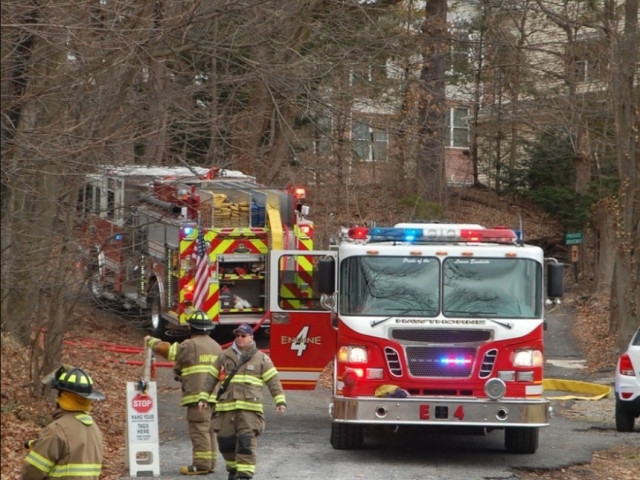 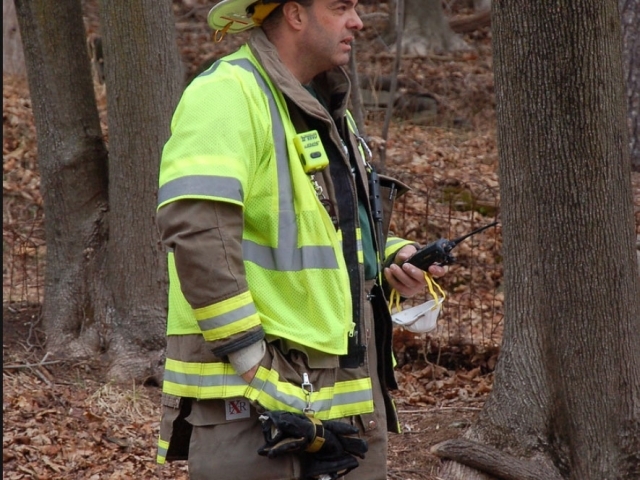 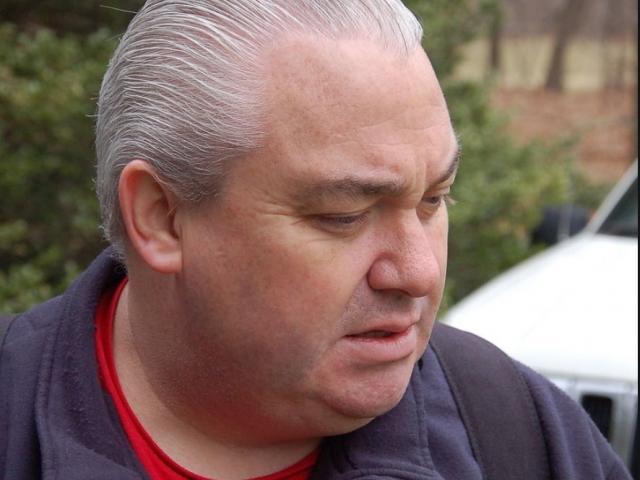 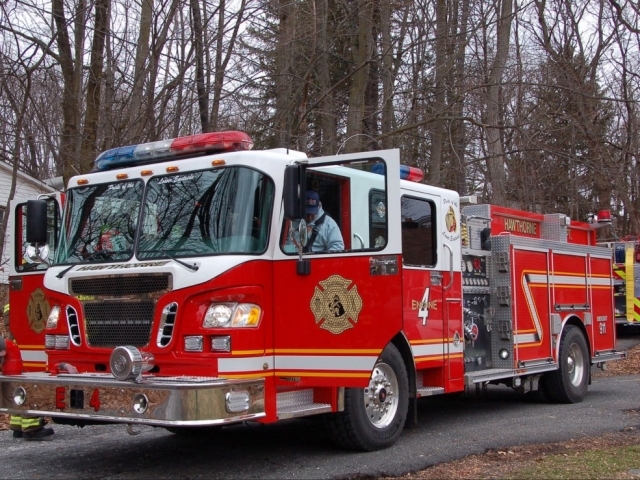 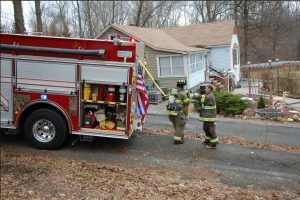 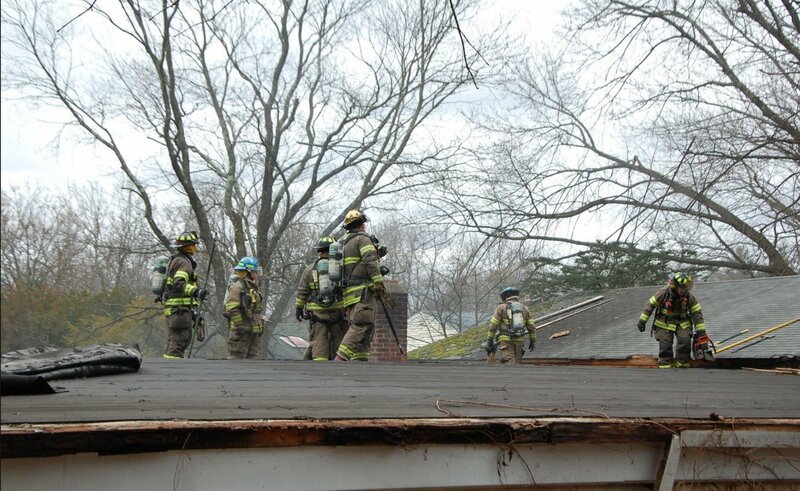 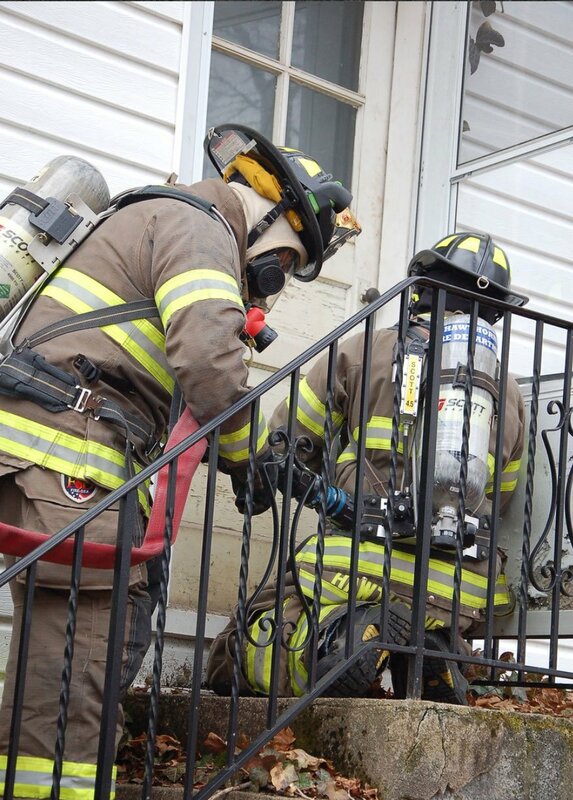 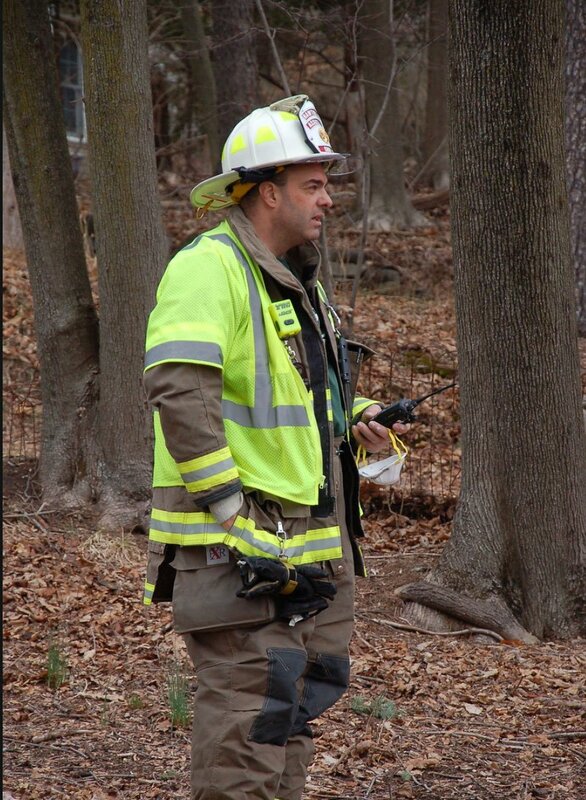 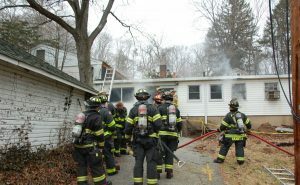 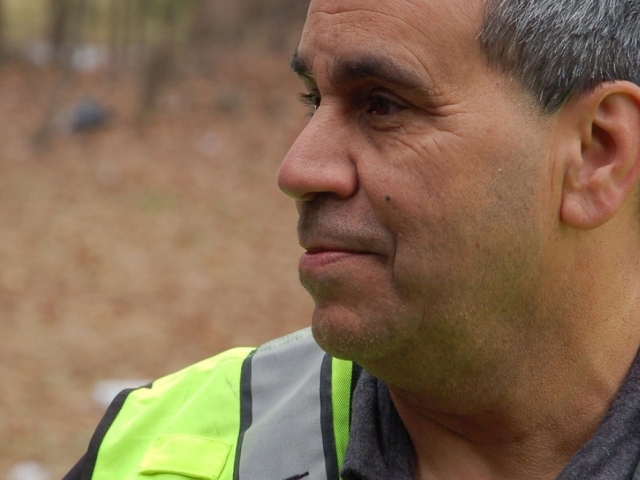 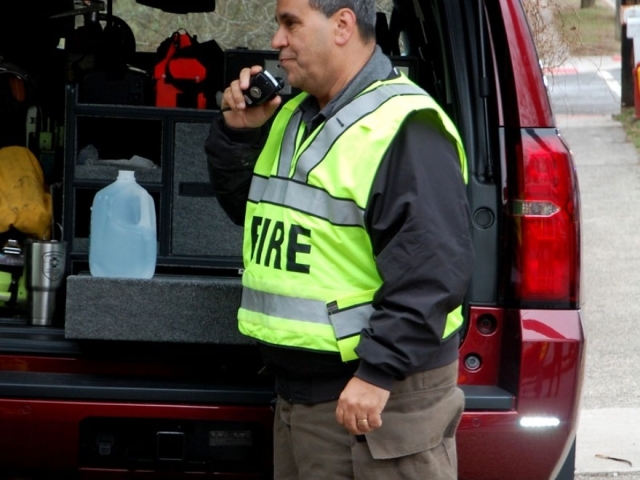 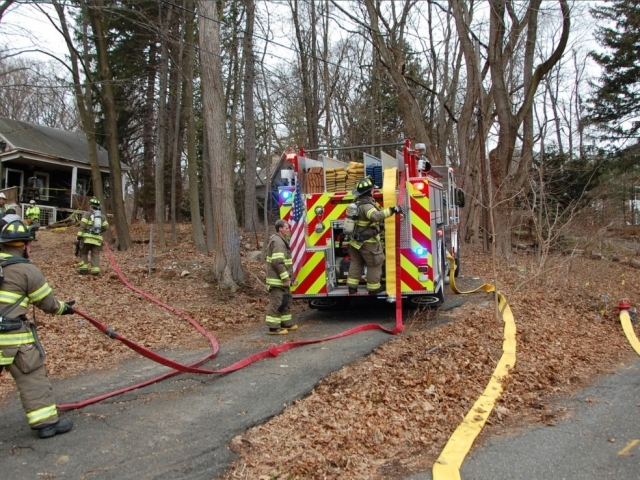 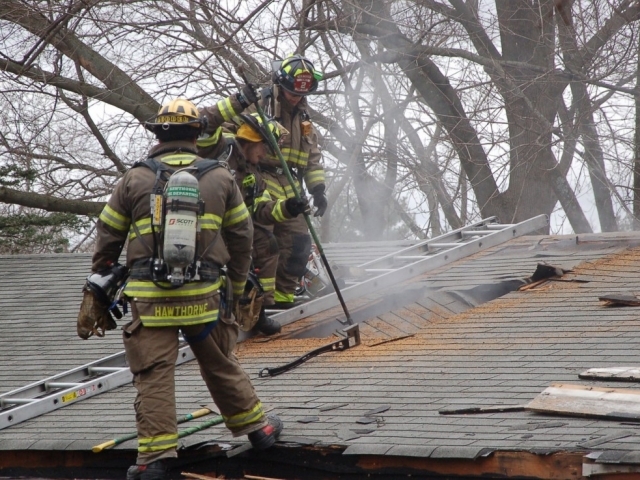 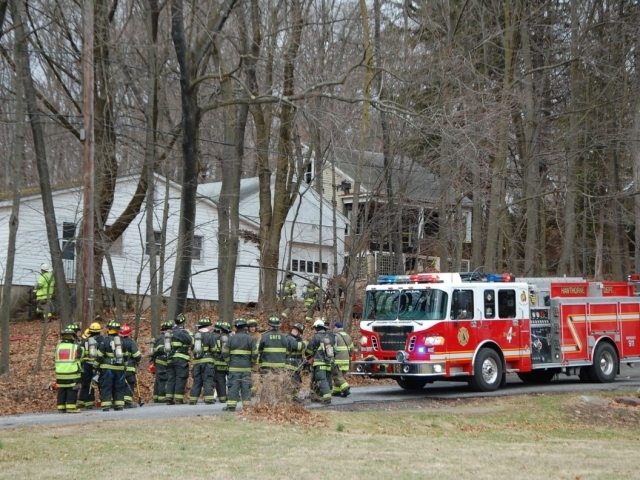 Mutual aid departments were co-opted in roles and as RIC teams. 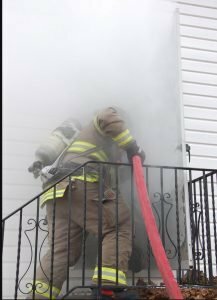 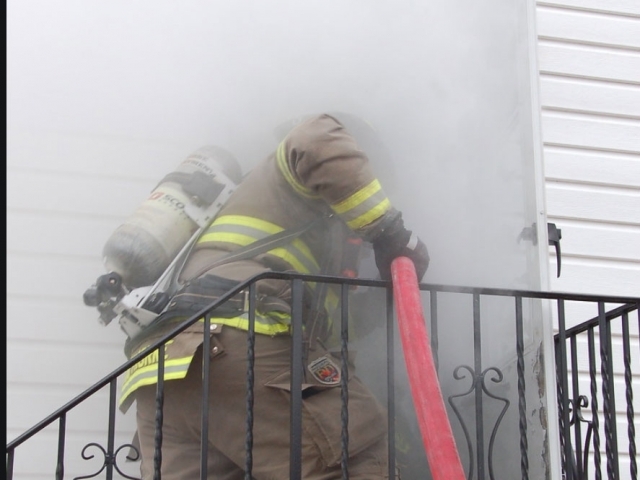 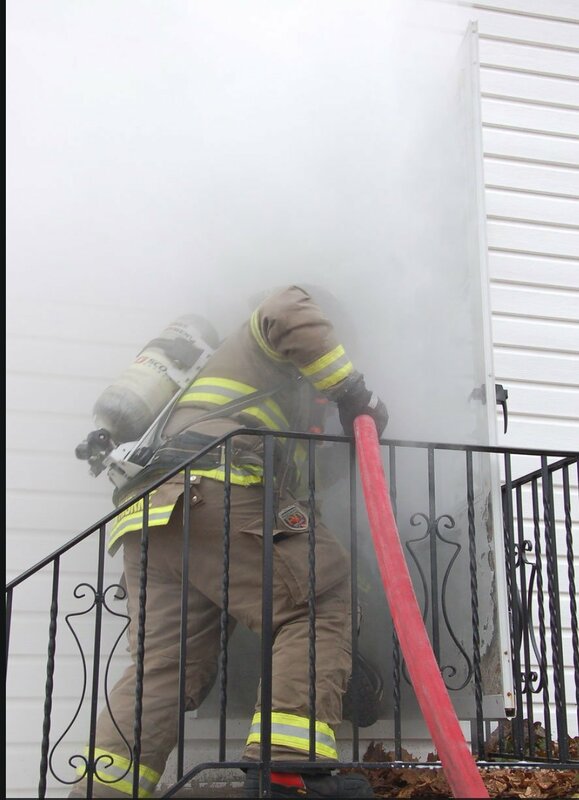 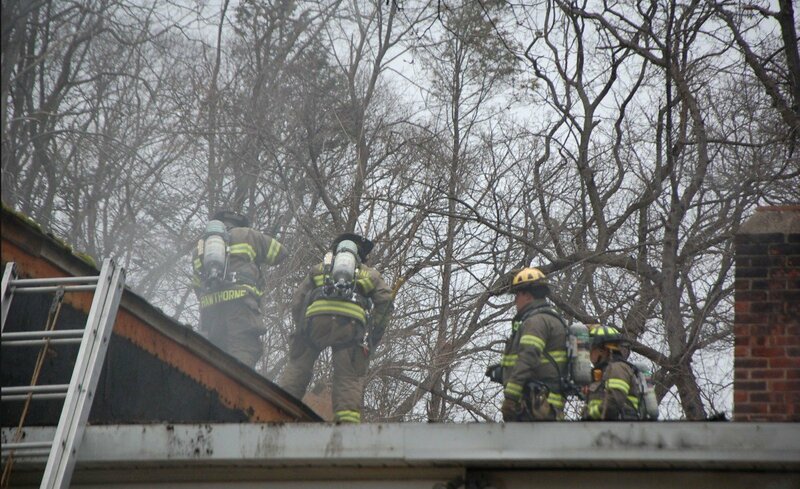 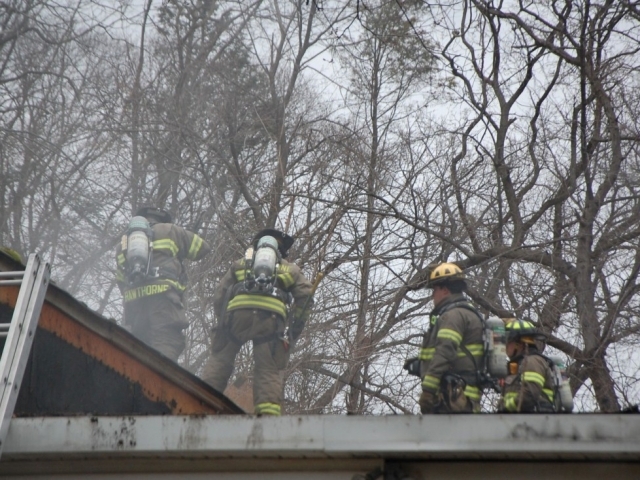 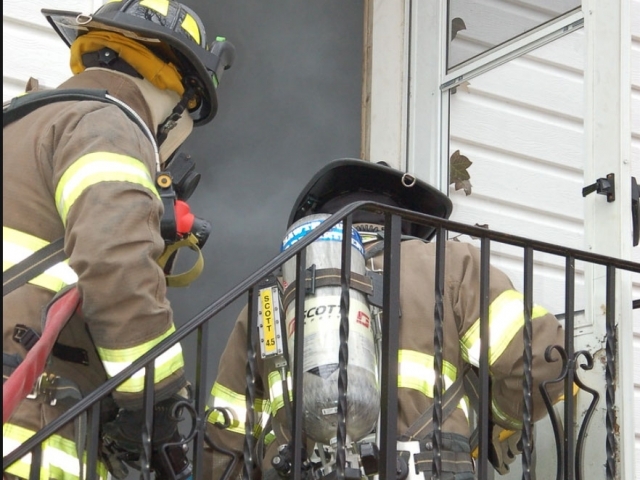 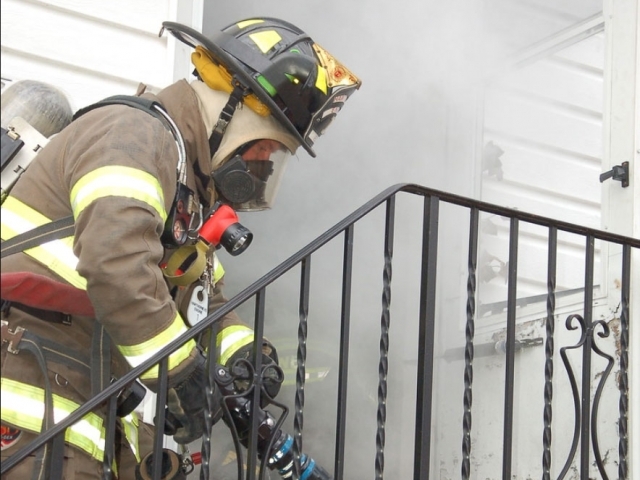 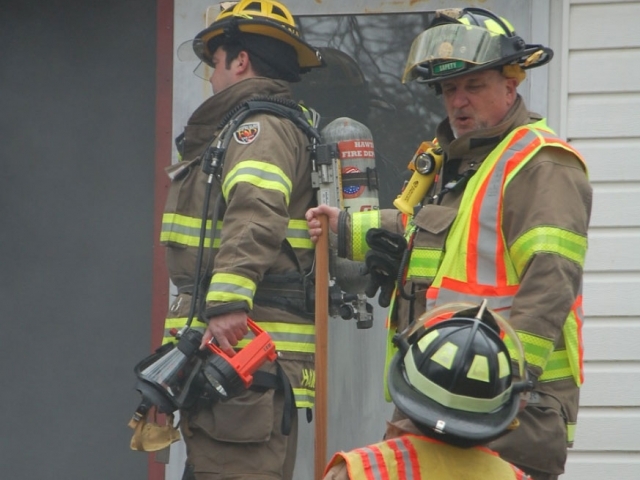 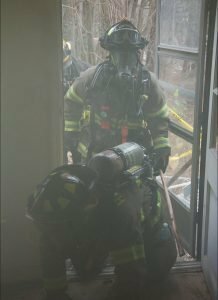 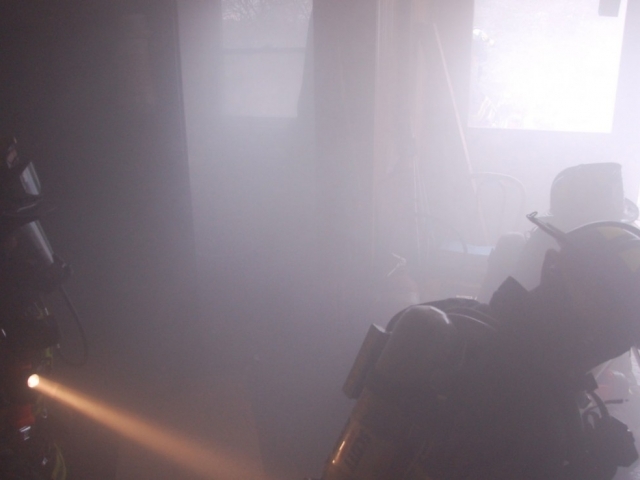 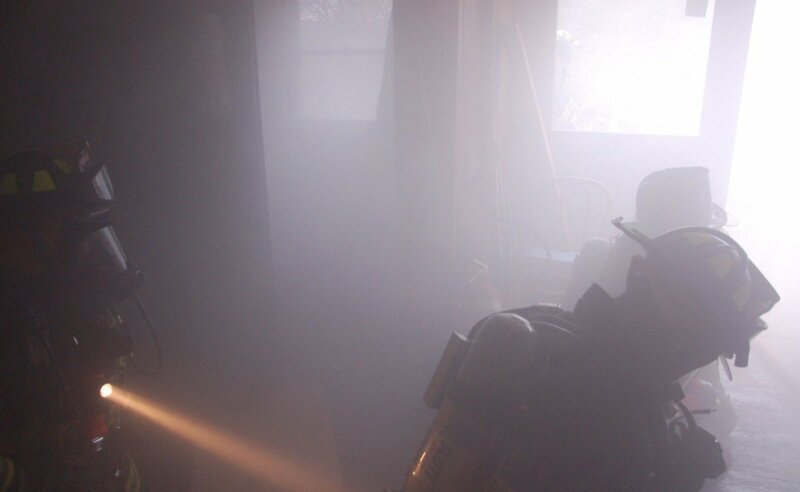 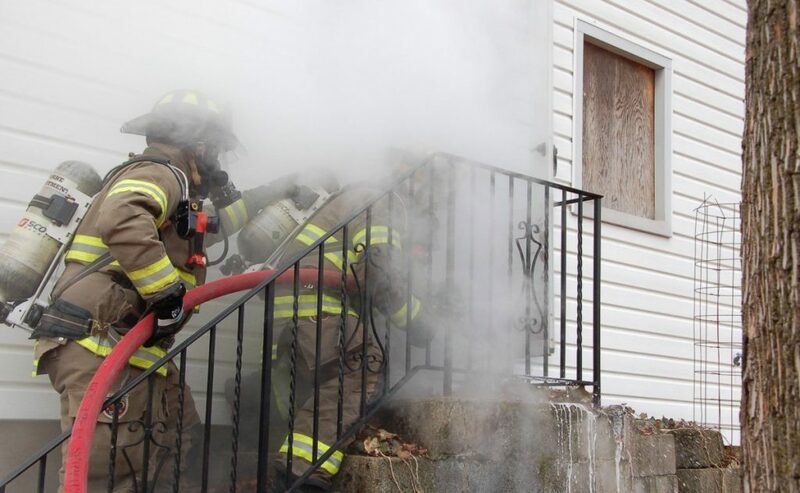 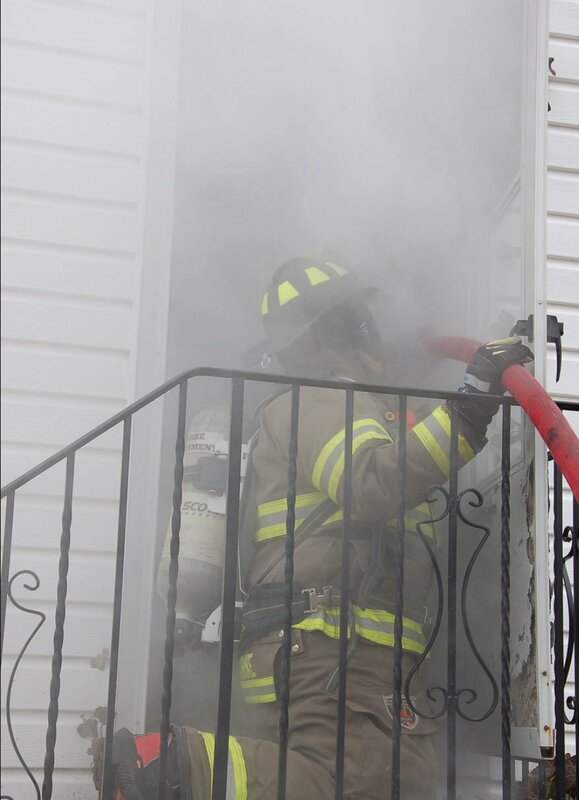 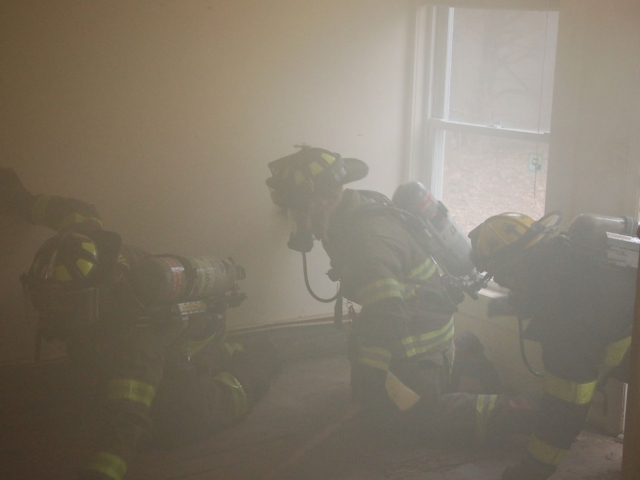 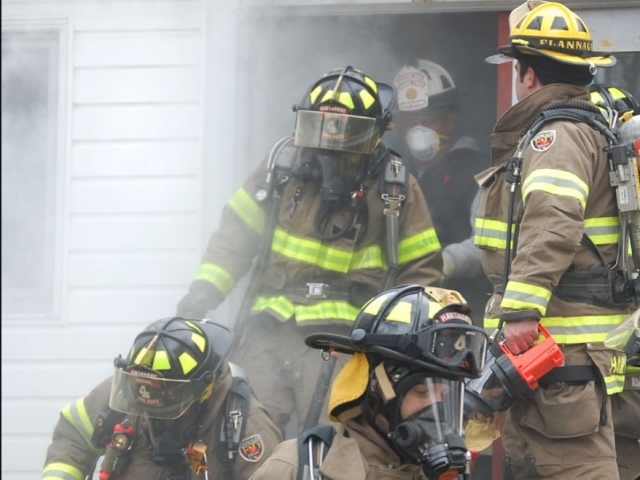 Later in the morning, department crews rotated through different event-stations that included smoke-filled rooms, some roof ventilation situations, and navigating through the building construction.